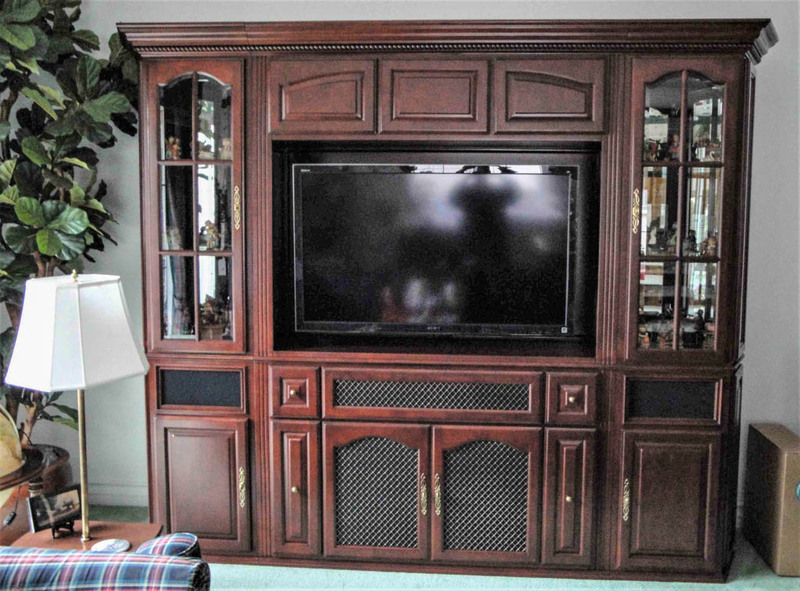 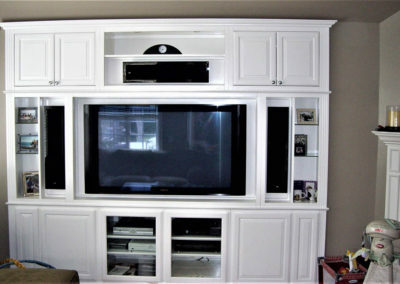 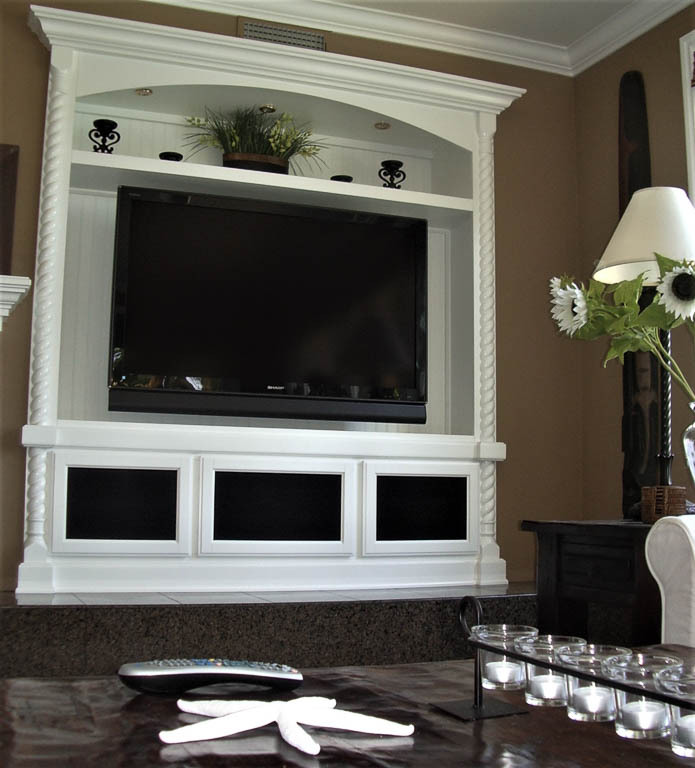 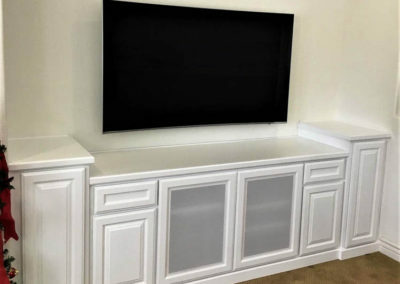 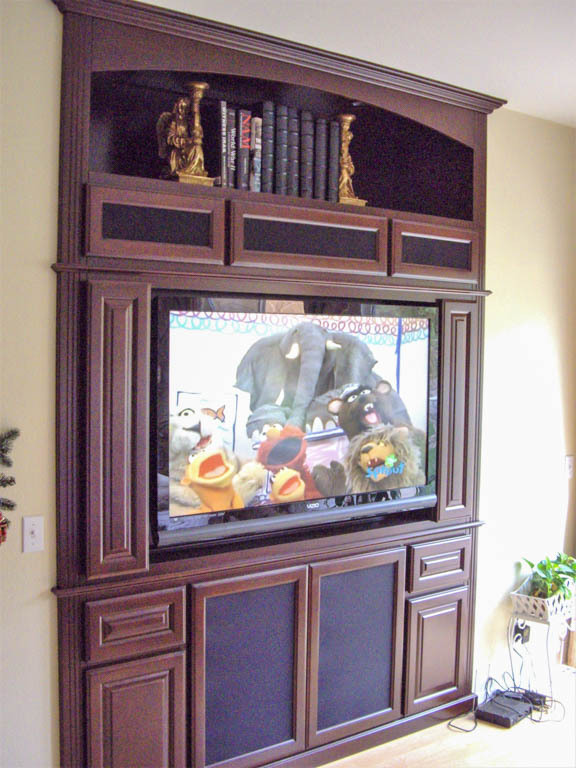 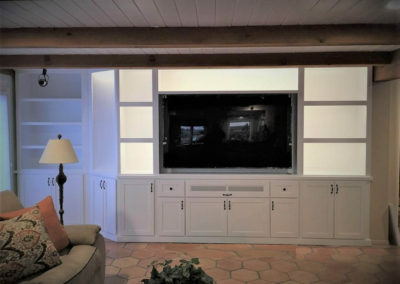 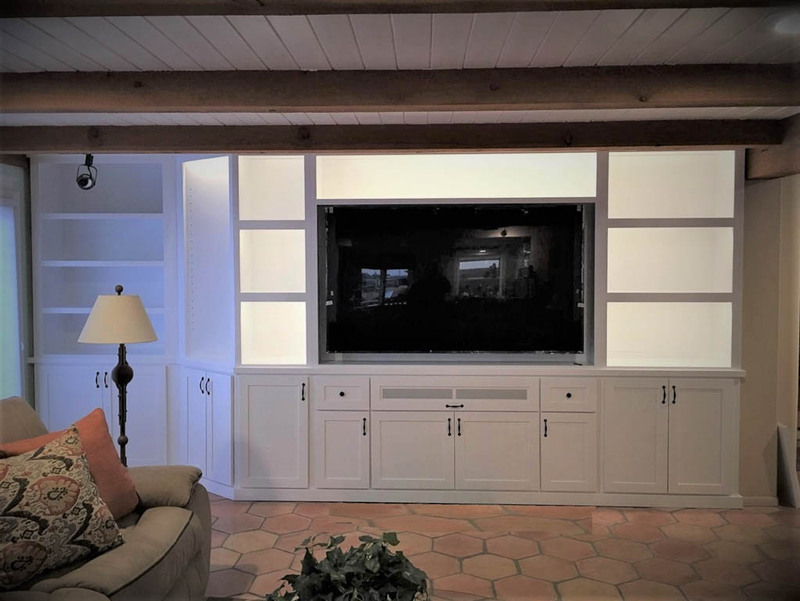 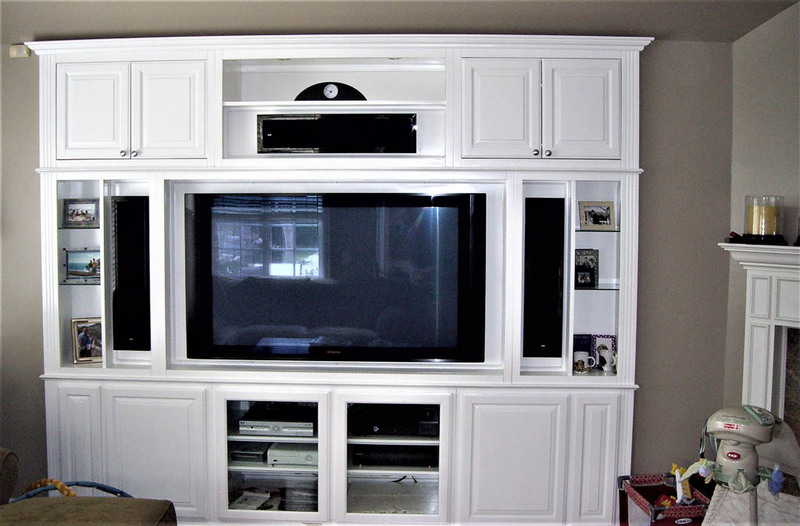 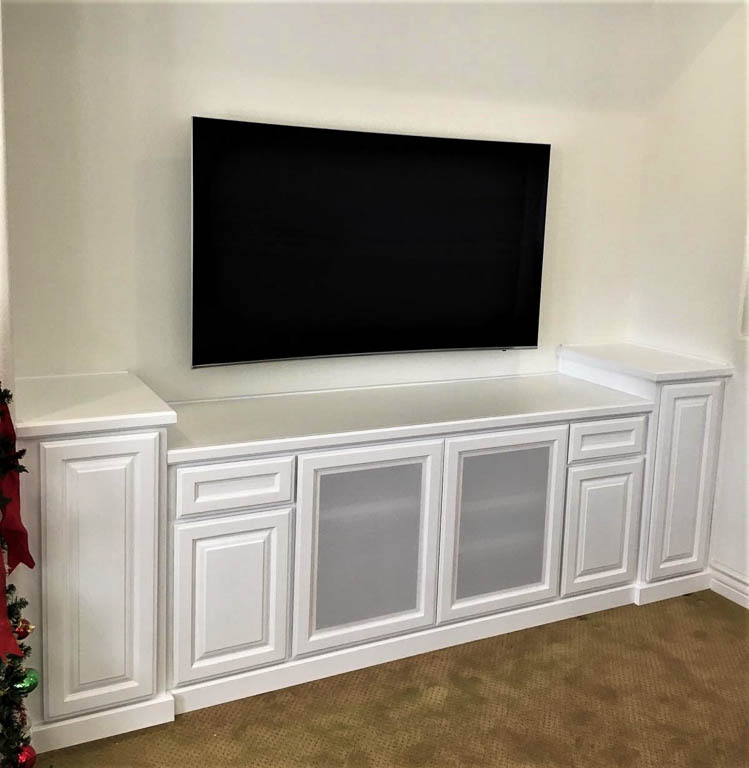 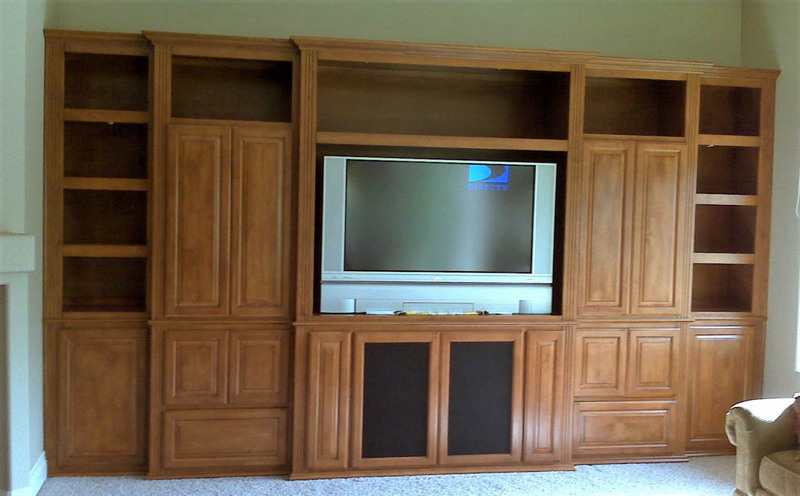 Custom Entertainment Centers | Designed - Built - Installed. 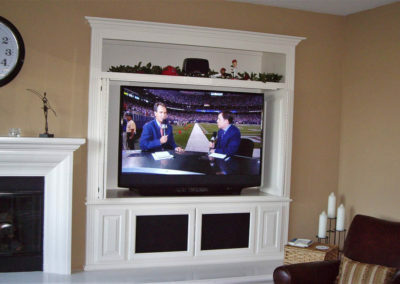 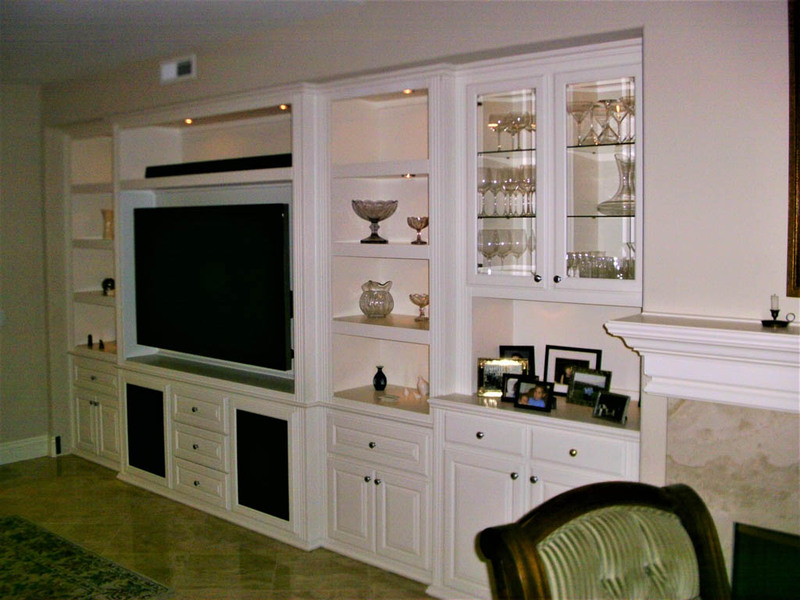 C & L Designs Inc.
We design, build and install custom entertainment centers for your home. 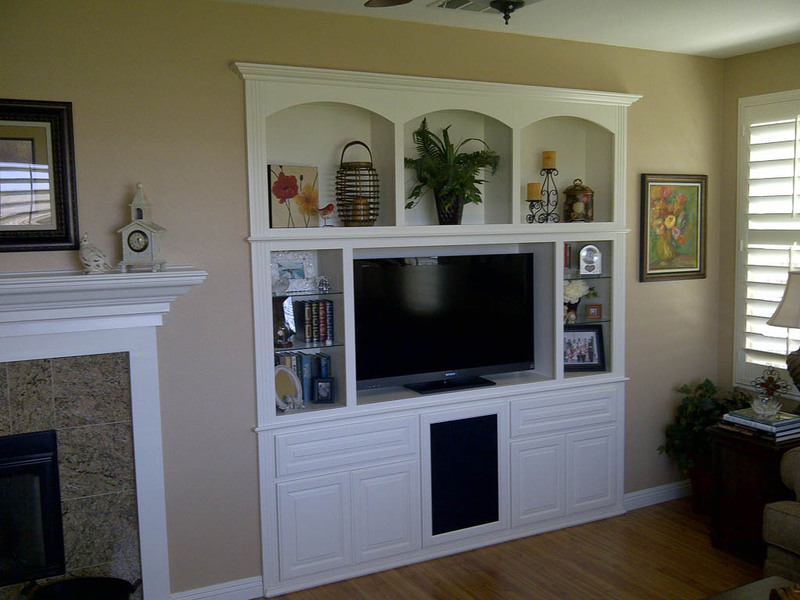 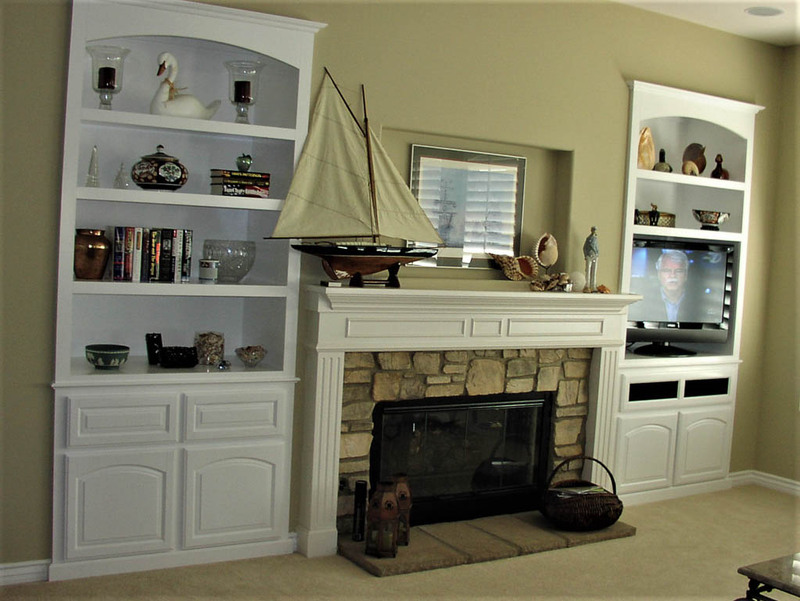 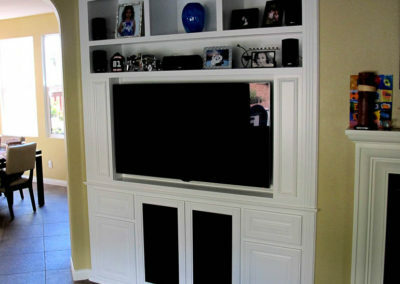 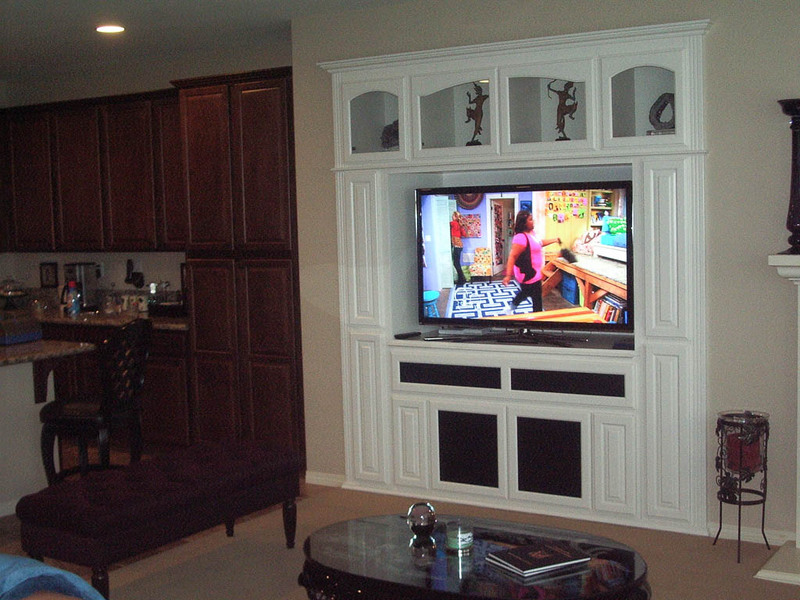 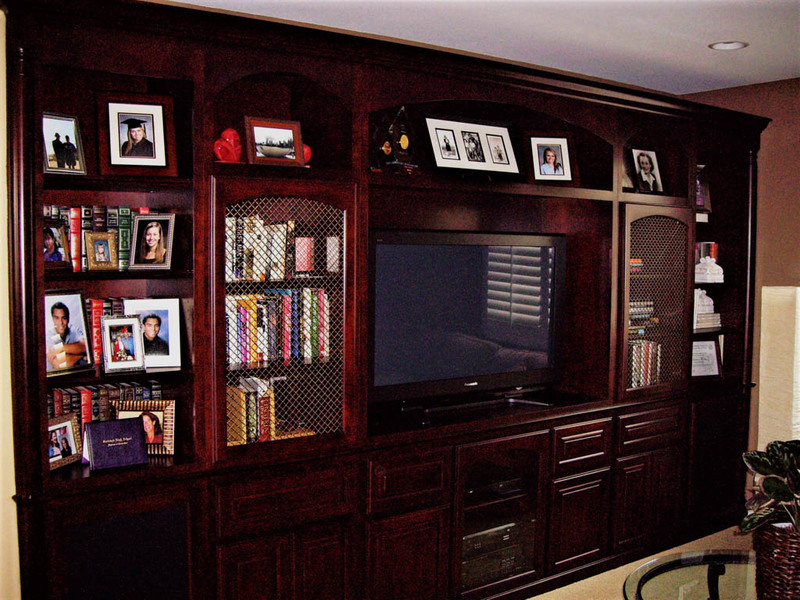 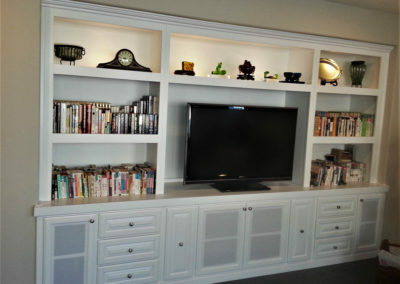 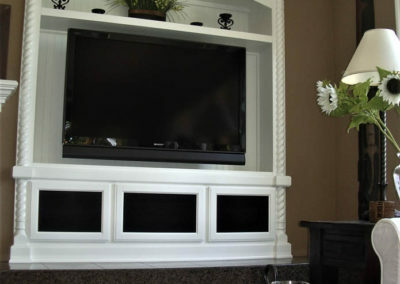 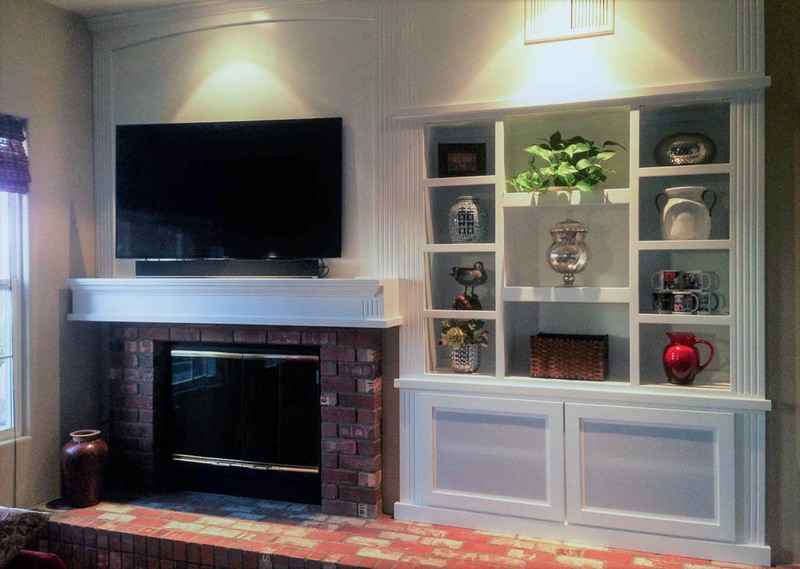 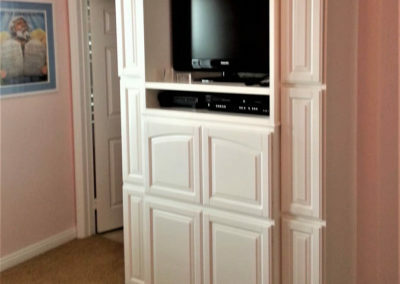 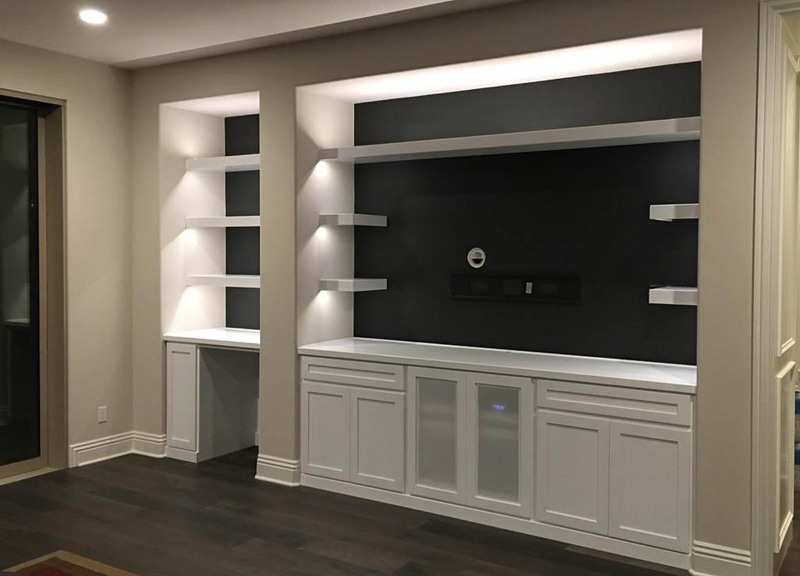 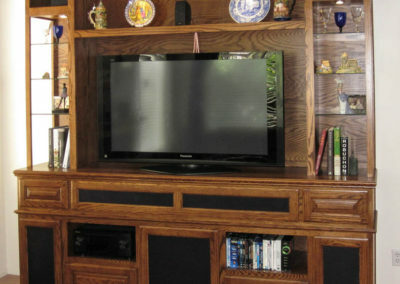 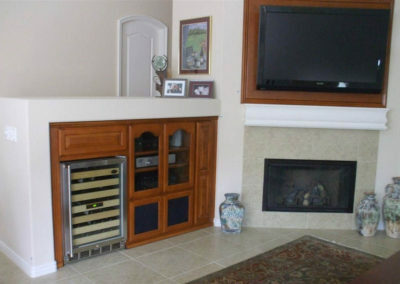 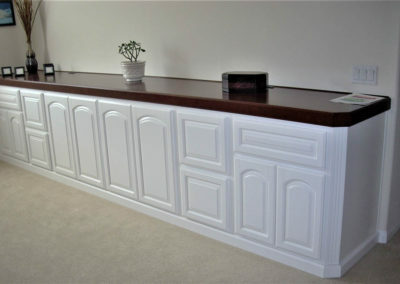 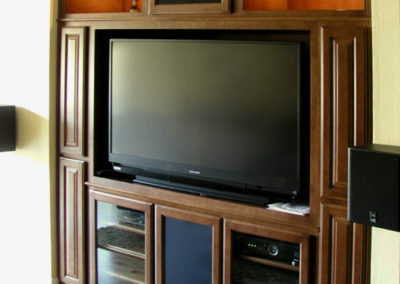 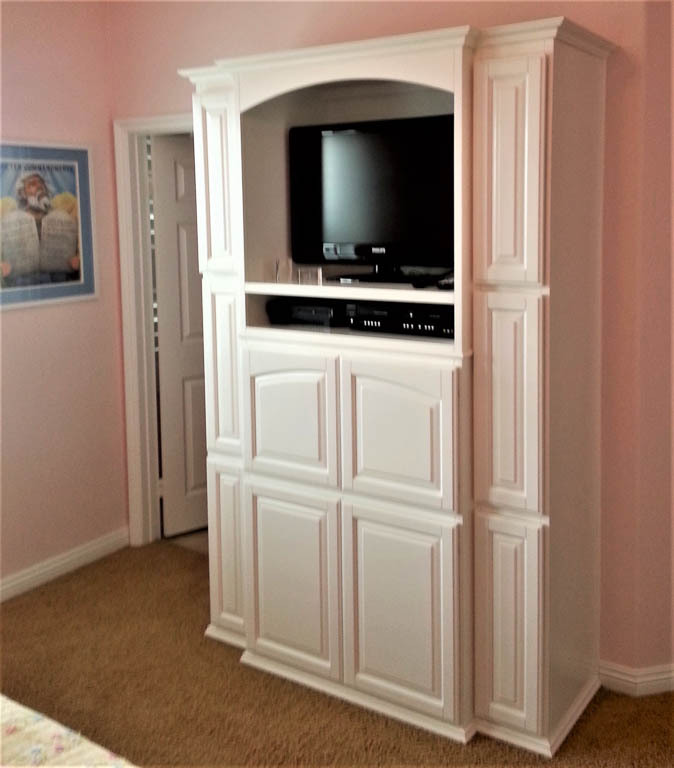 From TV stands to extensive custom cabinets and built in shelving, we can create the look and style you have in mind. 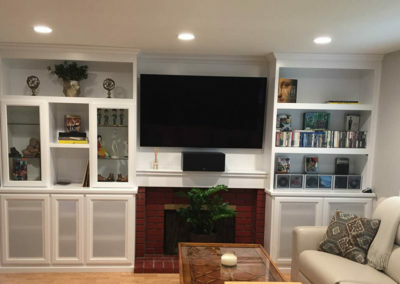 When you need extra space for your Xbox or Playstation and all the games and controllers, or a lit glass shelf to show off collectibles, we can do it. 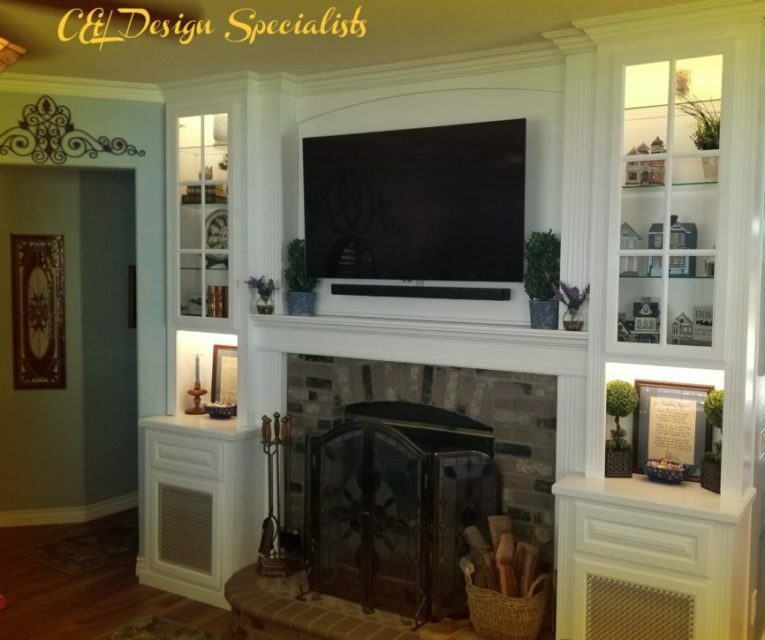 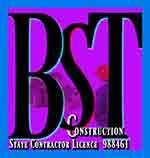 We design around your space. 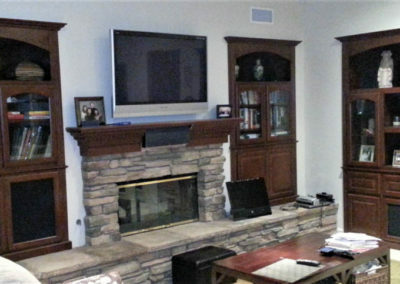 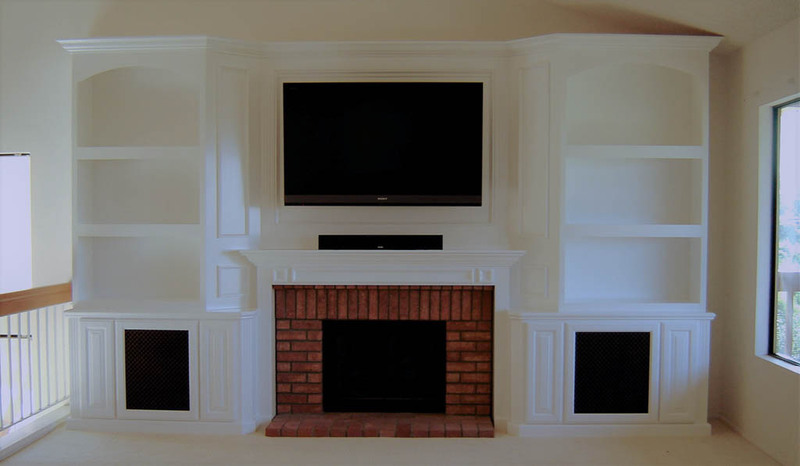 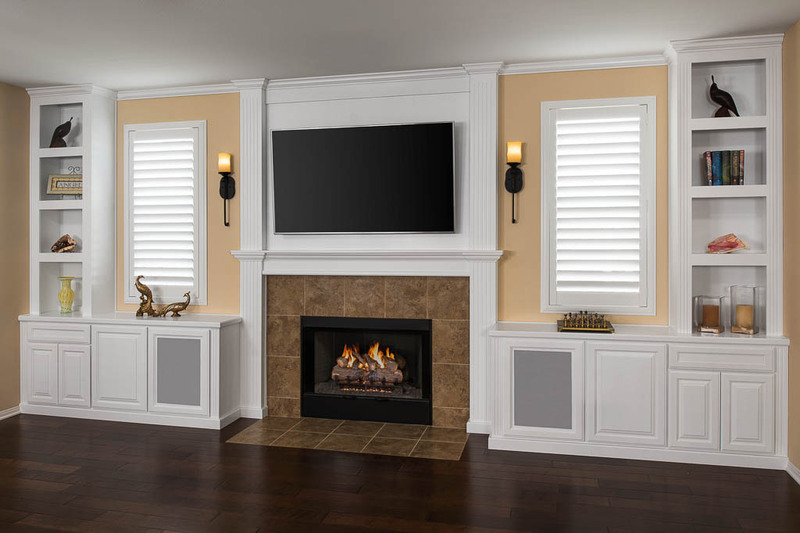 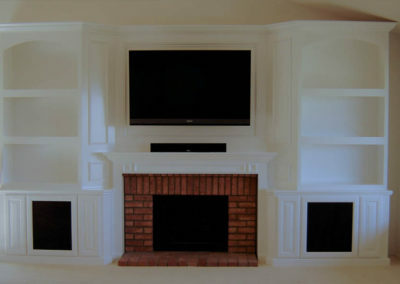 Incorporate your fireplace into your entertainment center design and use your built in wall niches. 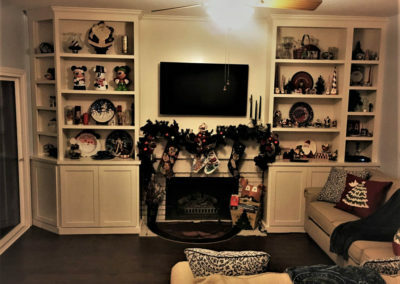 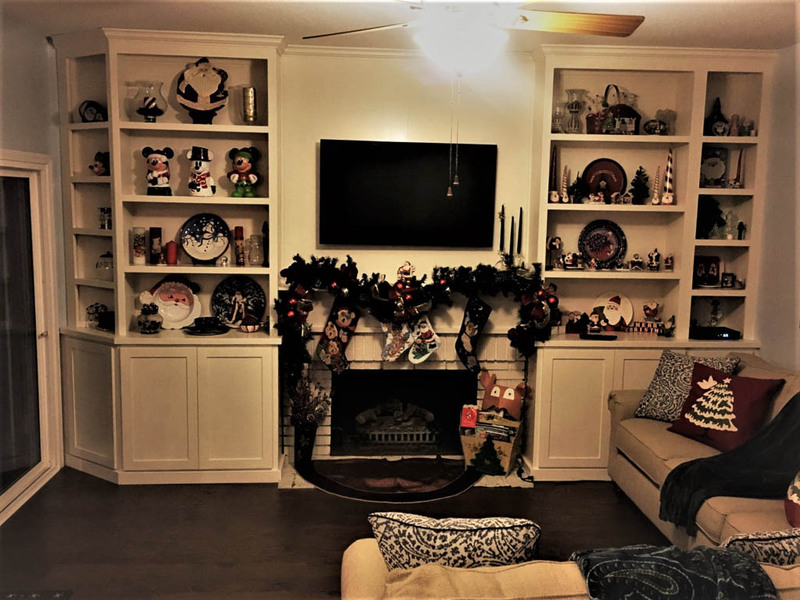 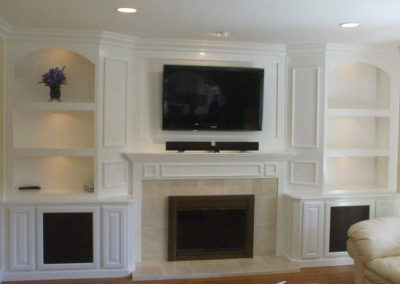 Include a new fireplace mantle to complete the look. 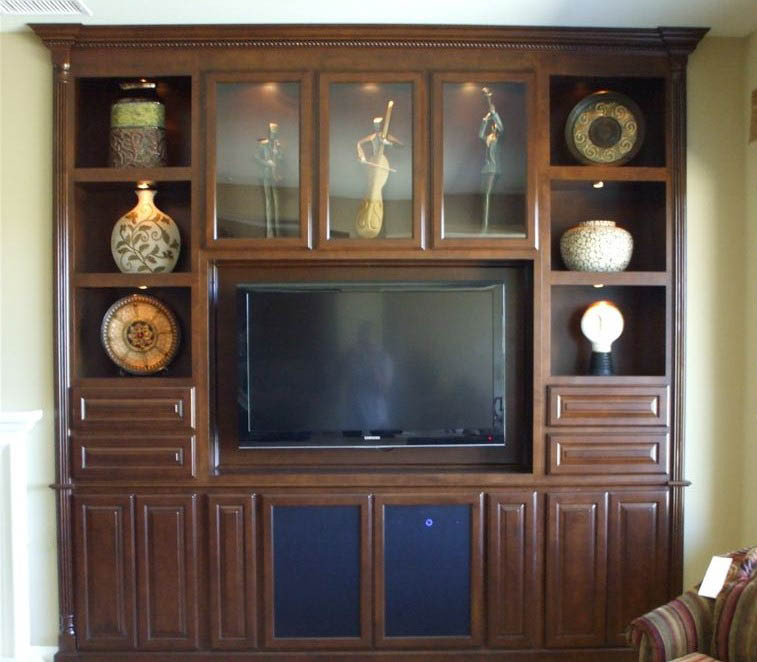 With a custom entertainment center, it’s all up to you. 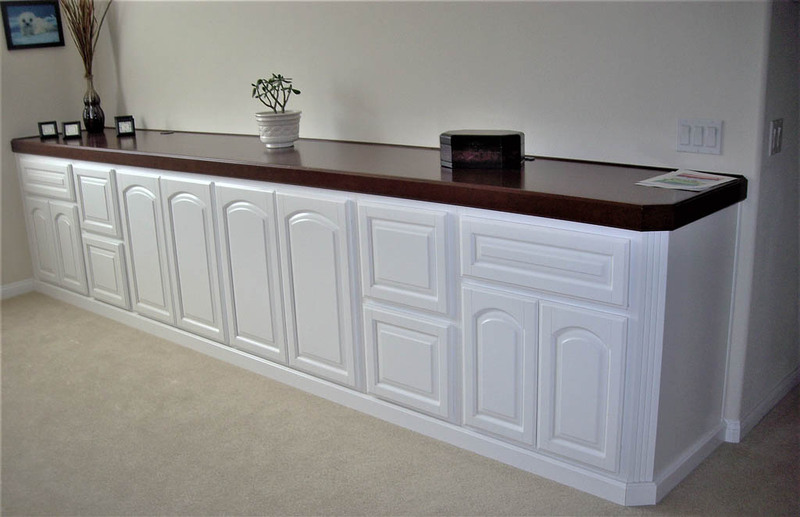 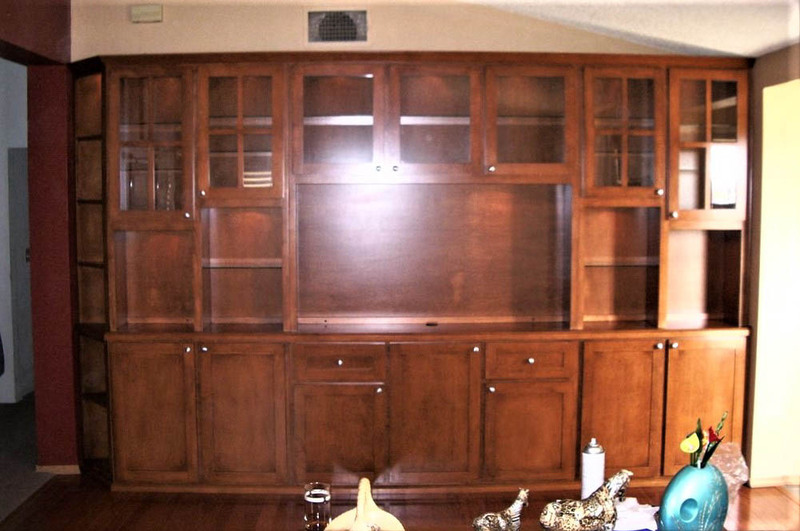 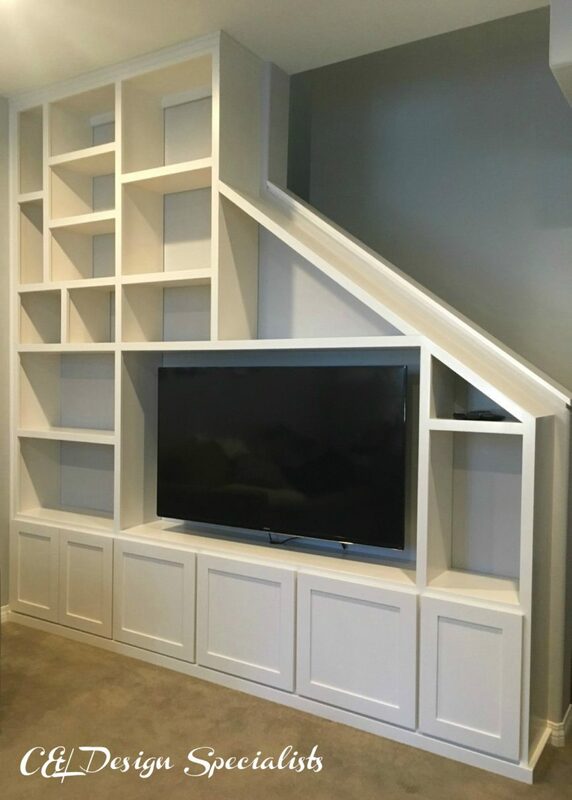 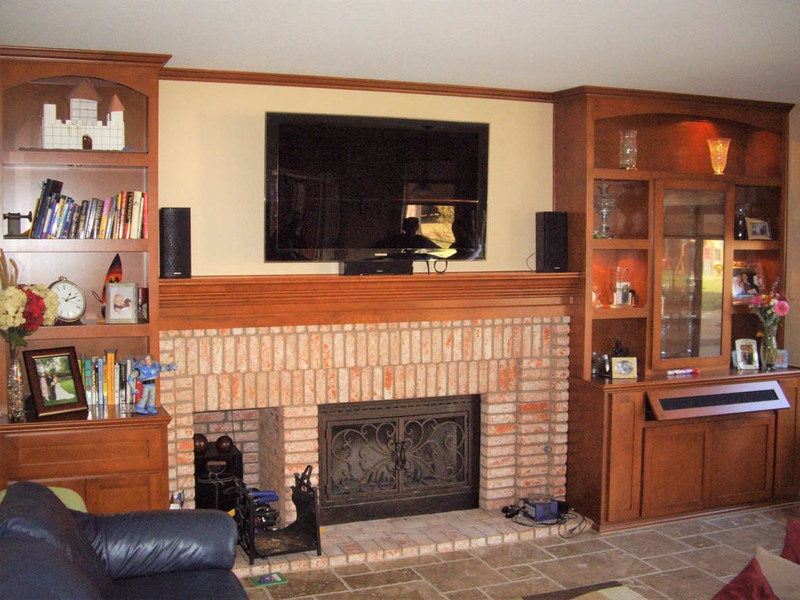 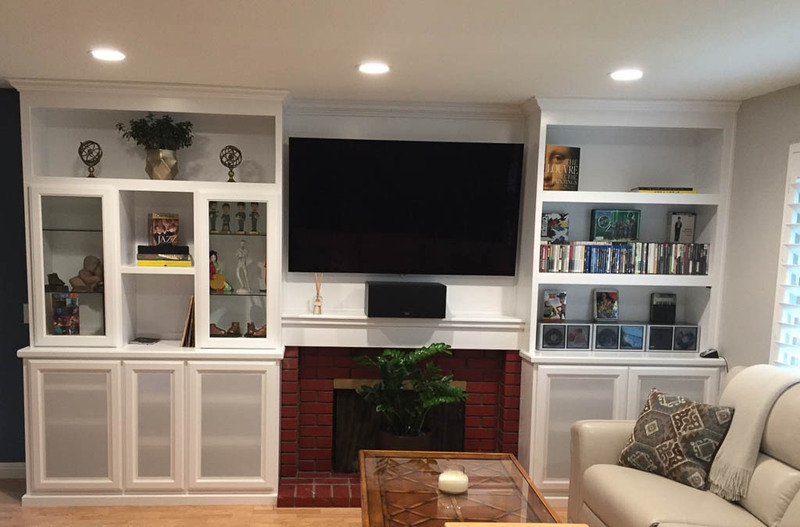 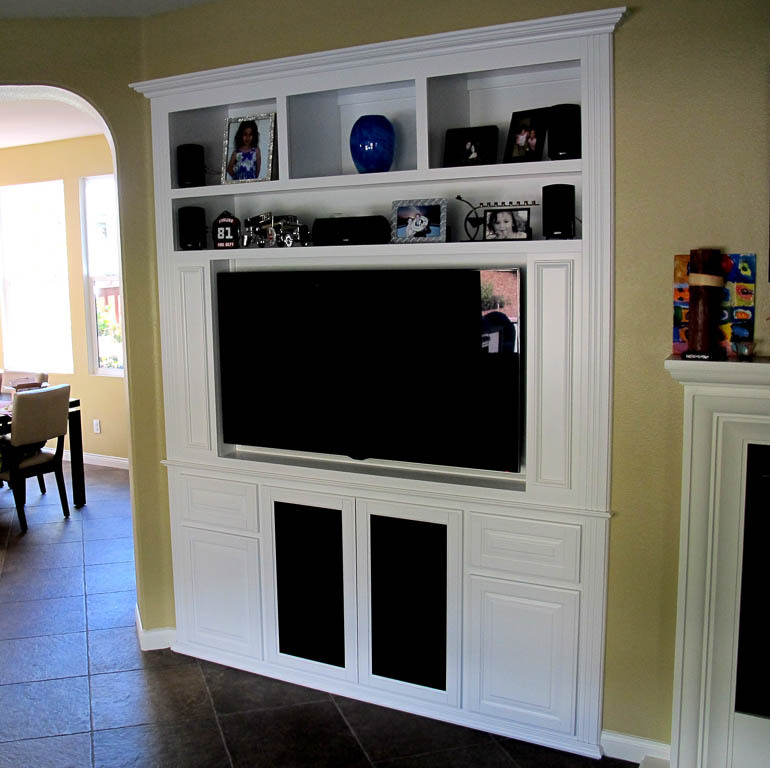 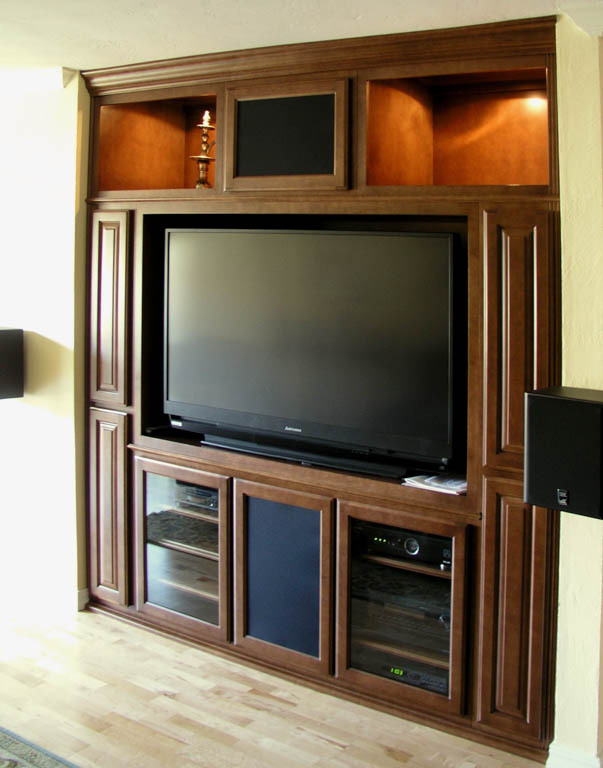 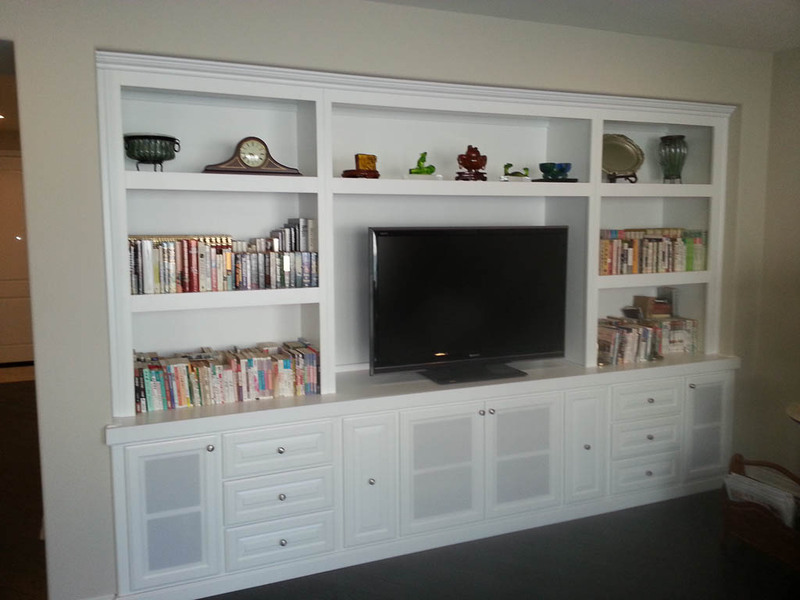 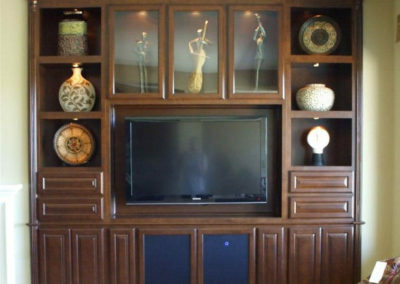 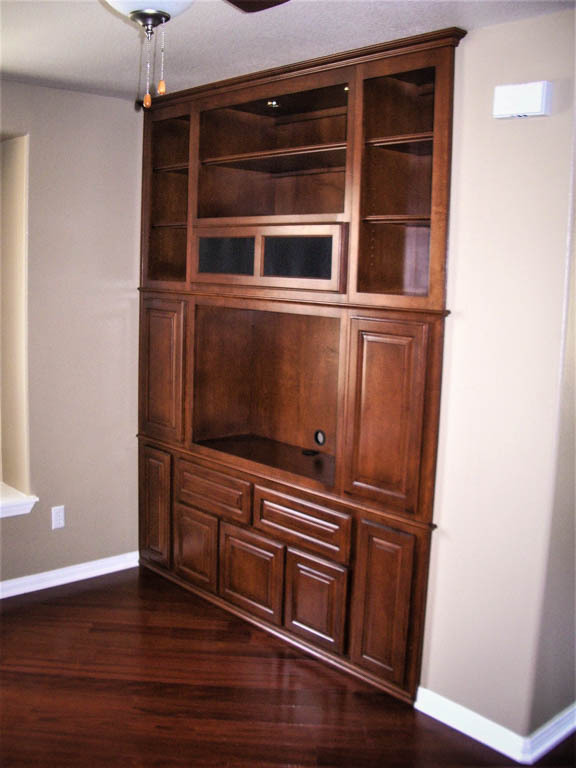 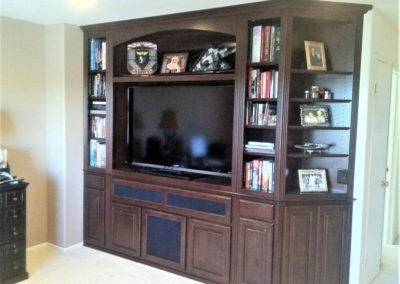 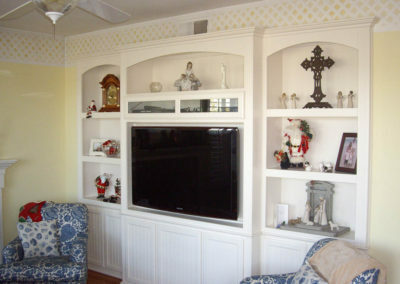 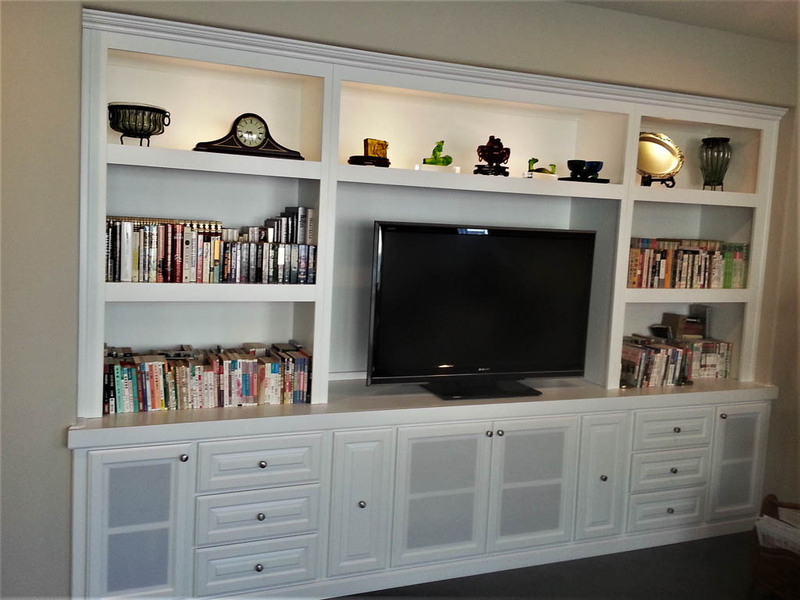 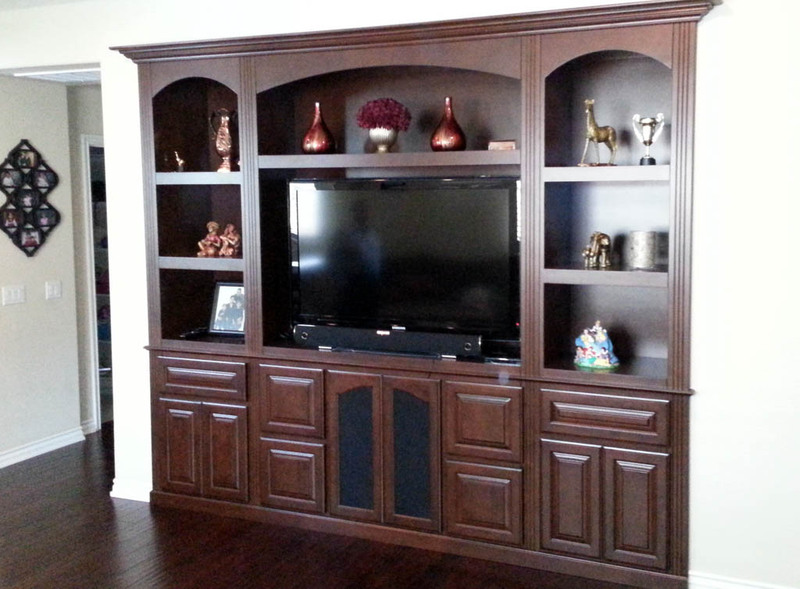 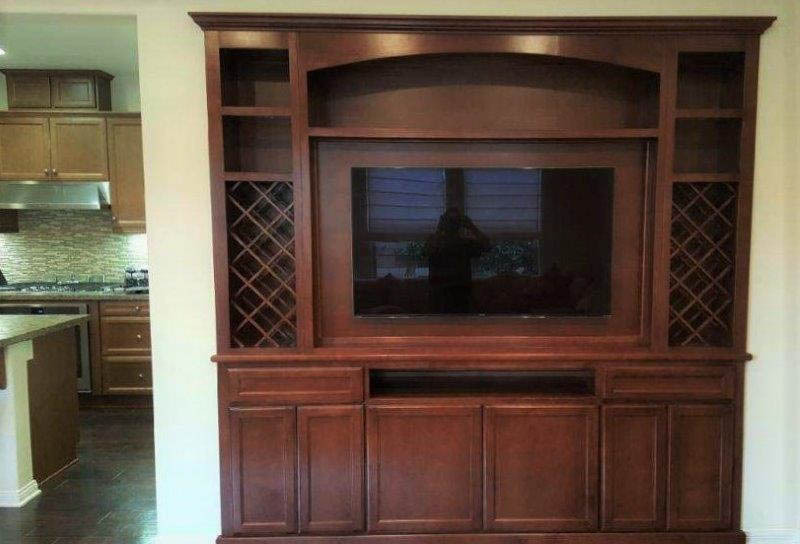 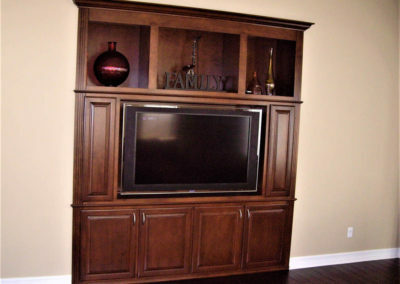 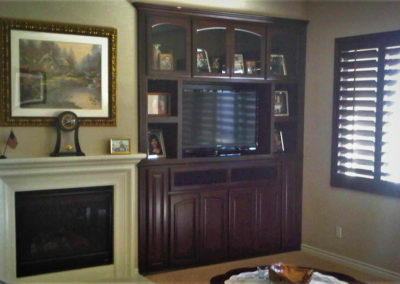 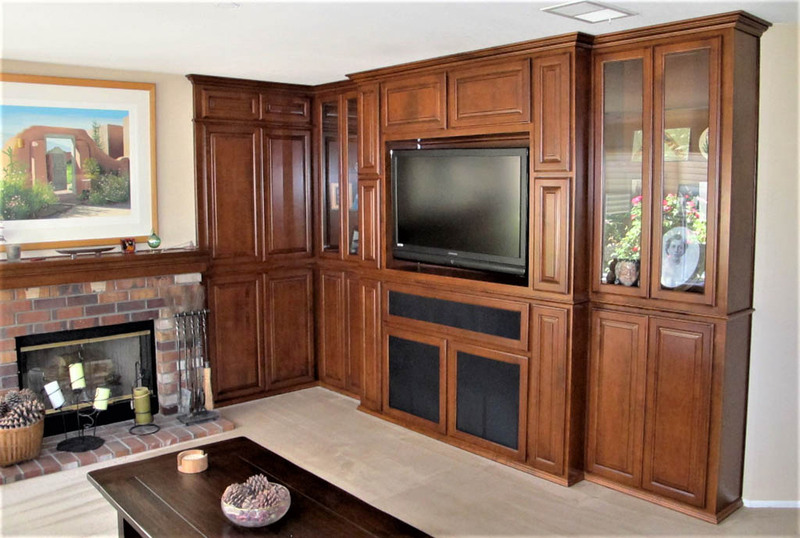 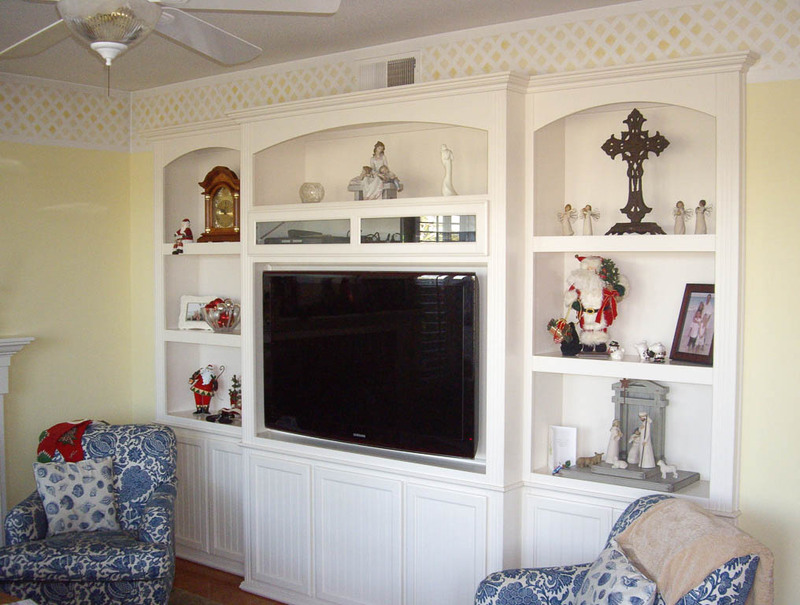 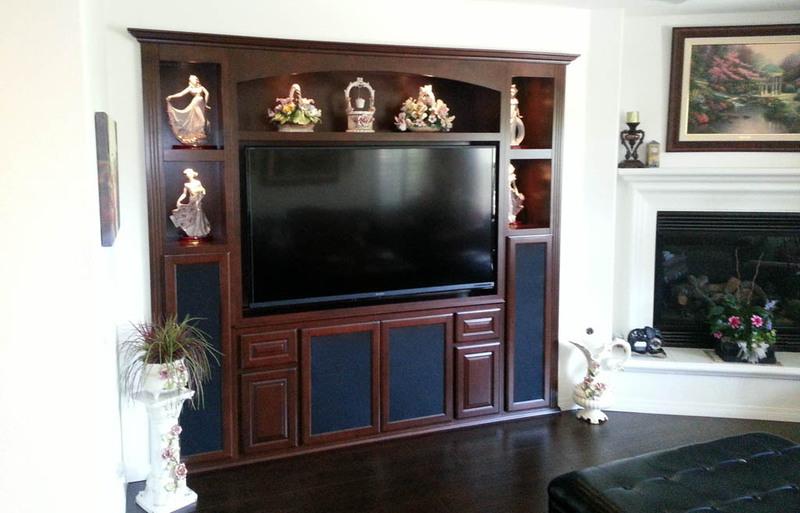 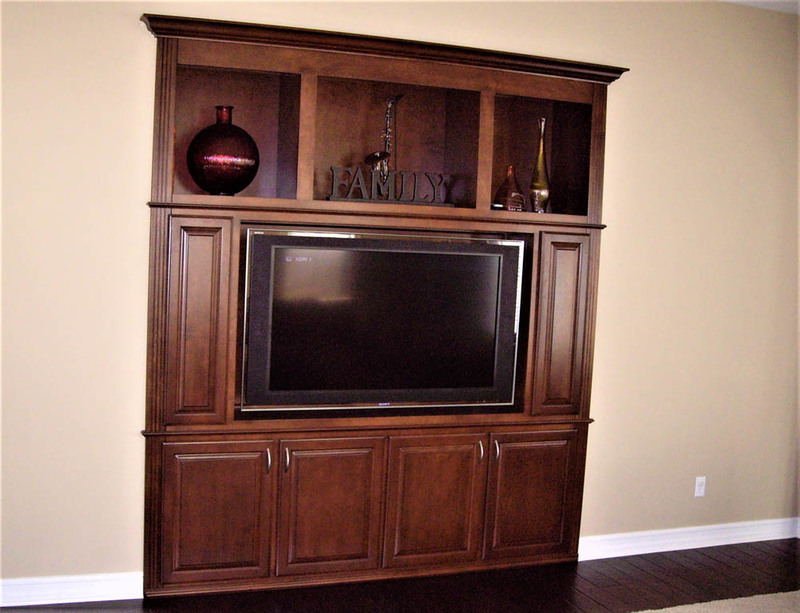 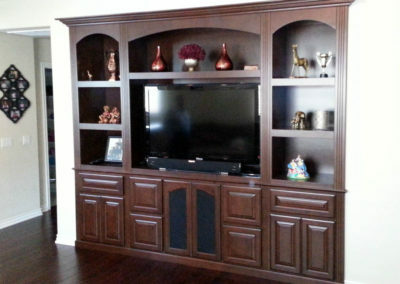 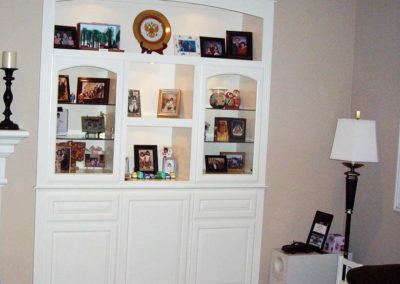 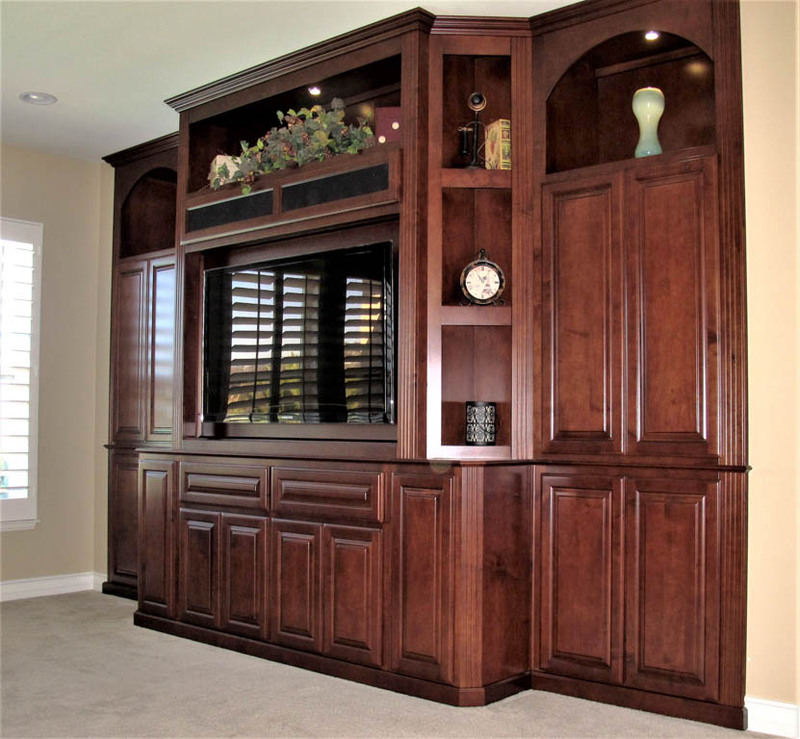 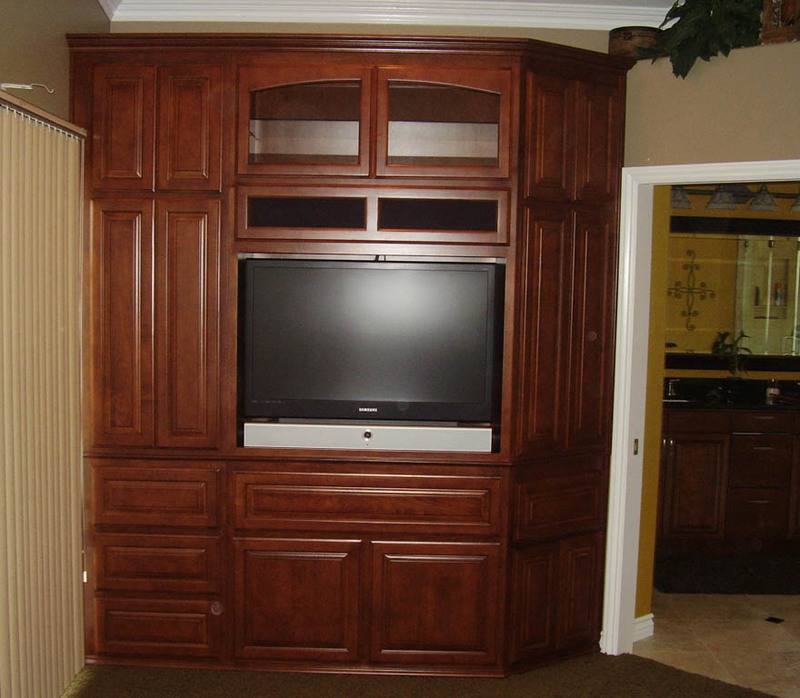 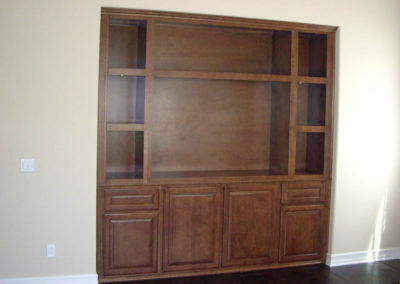 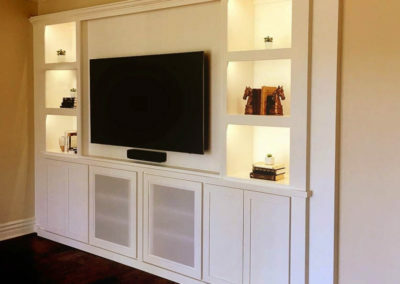 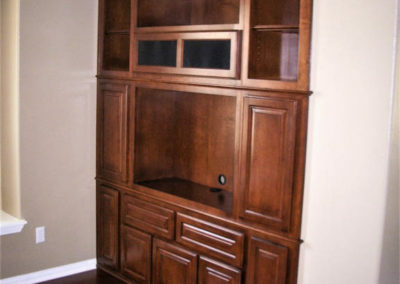 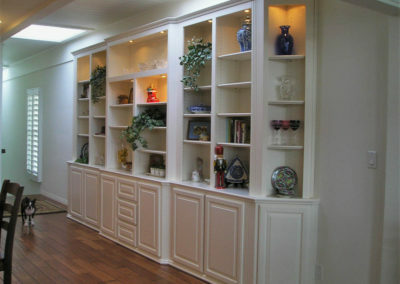 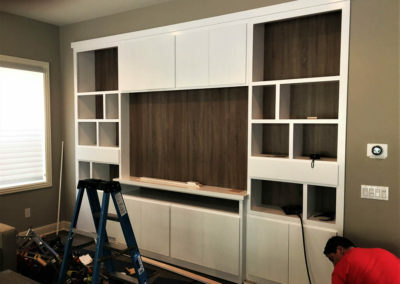 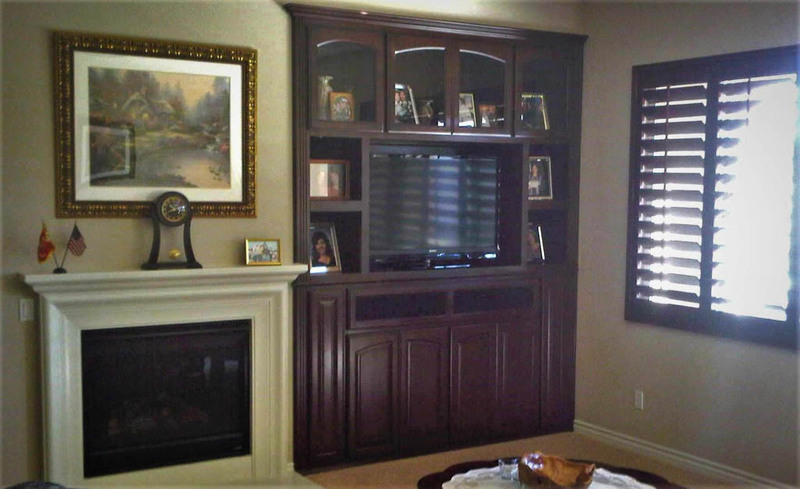 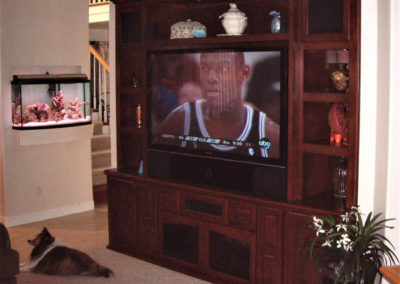 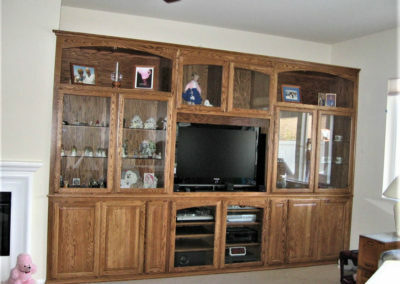 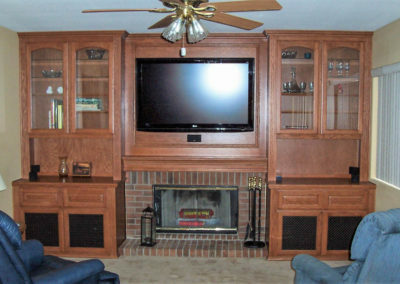 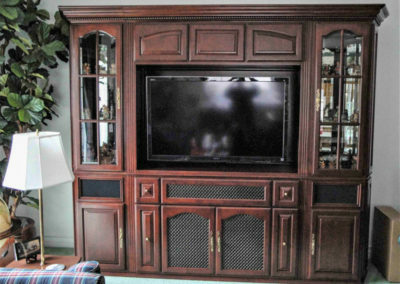 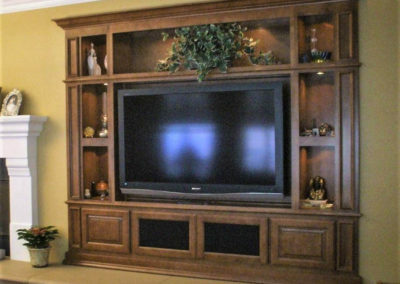 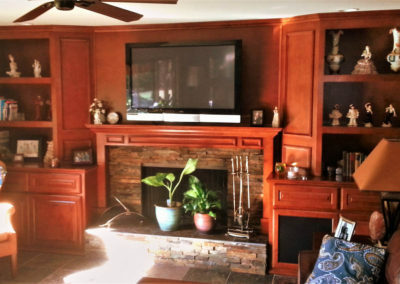 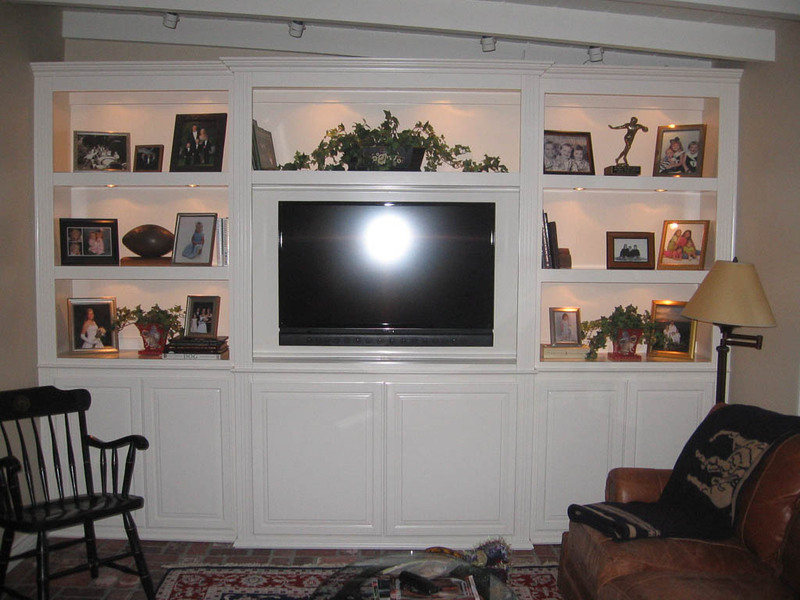 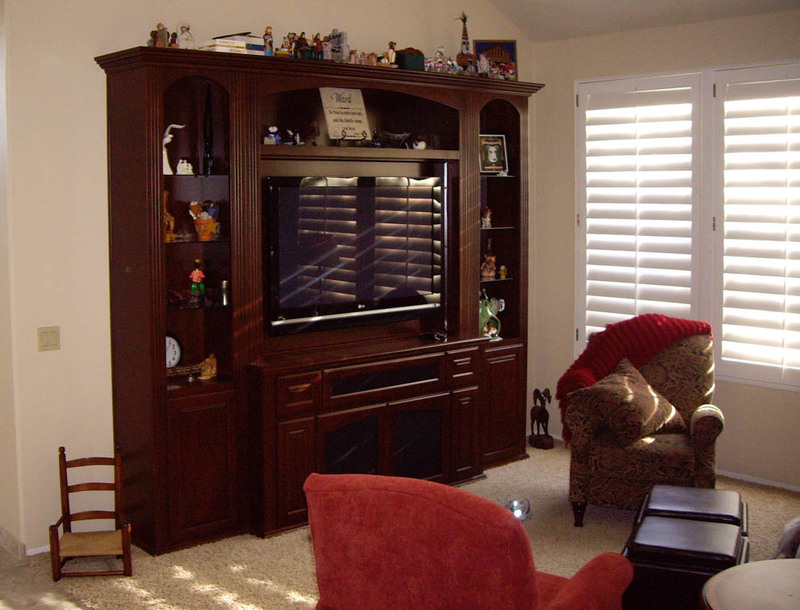 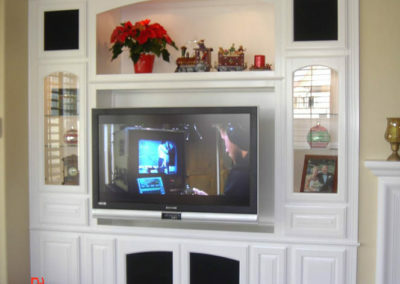 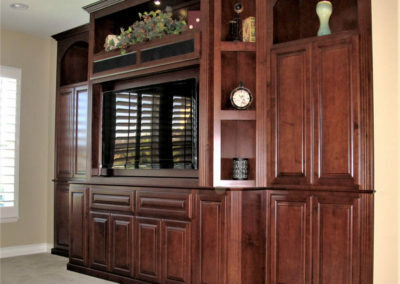 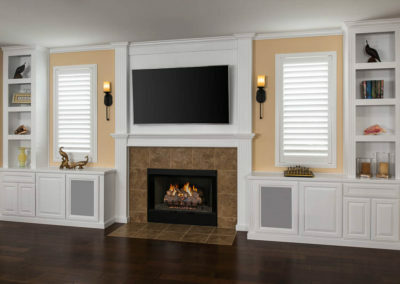 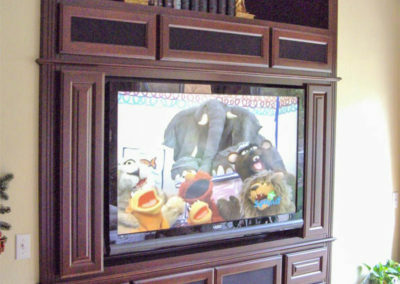 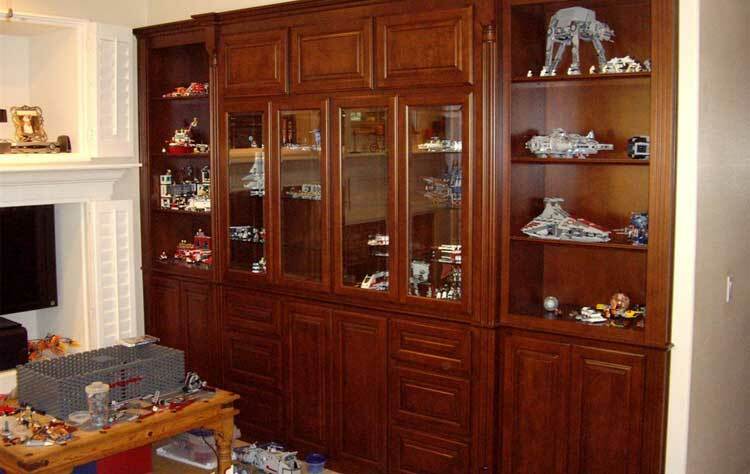 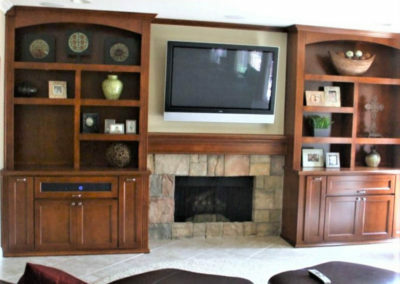 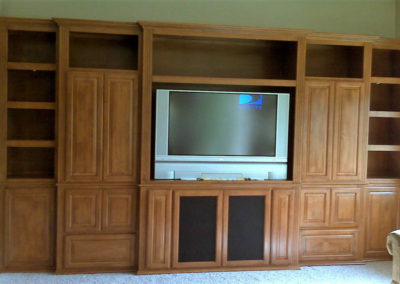 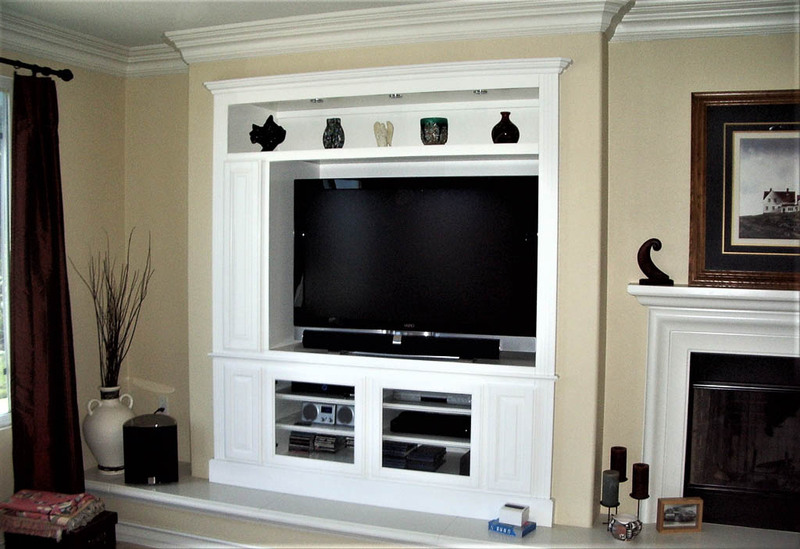 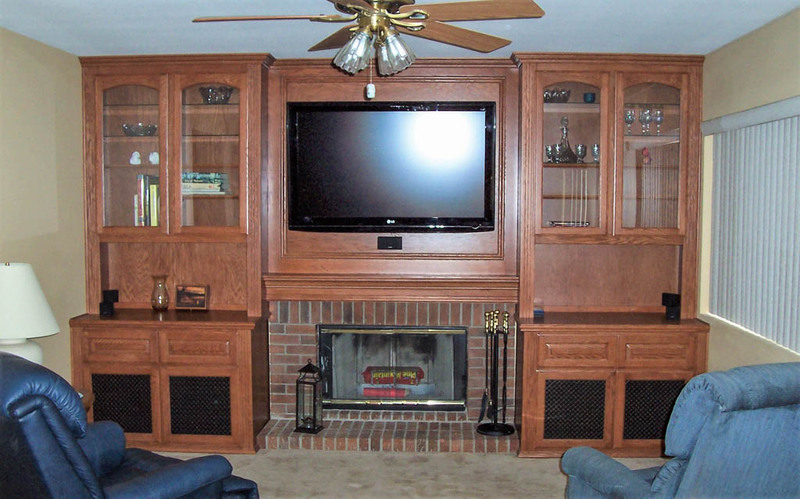 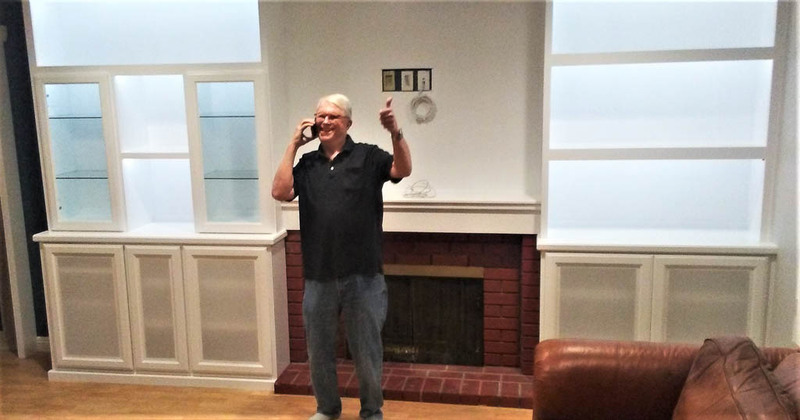 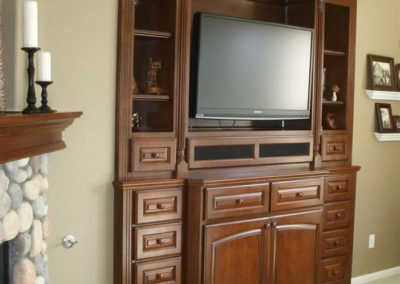 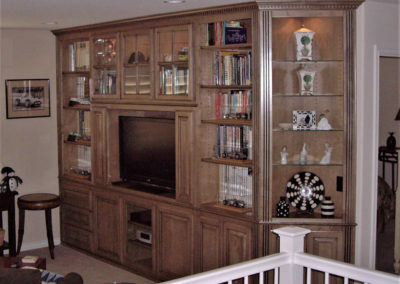 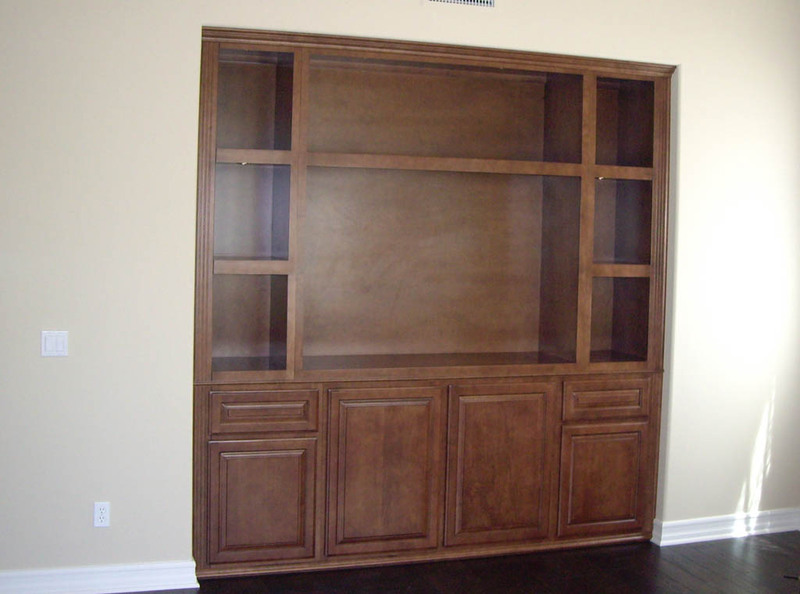 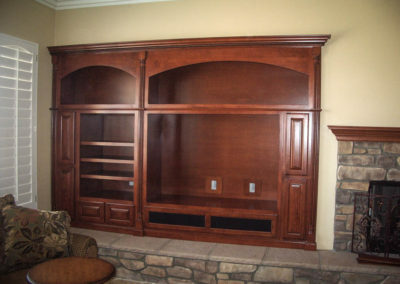 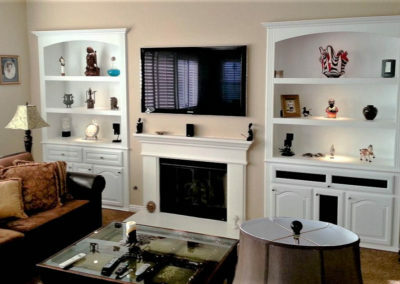 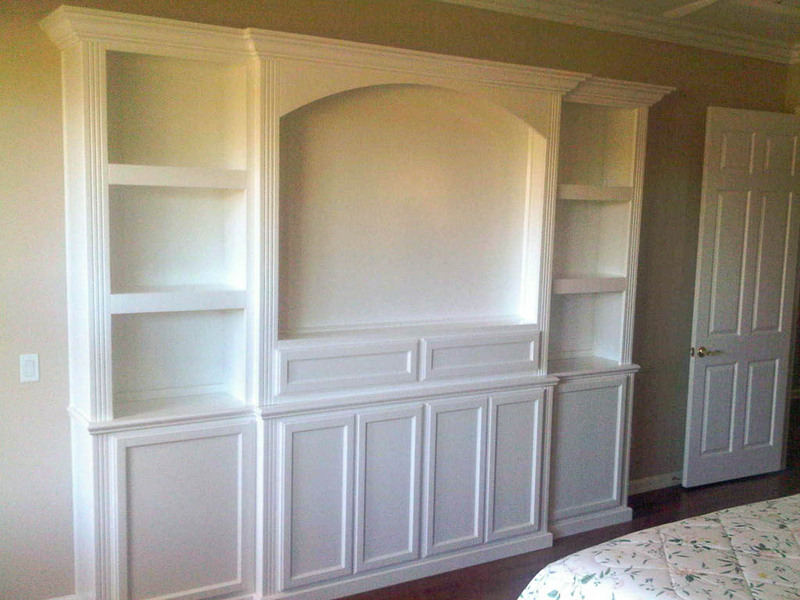 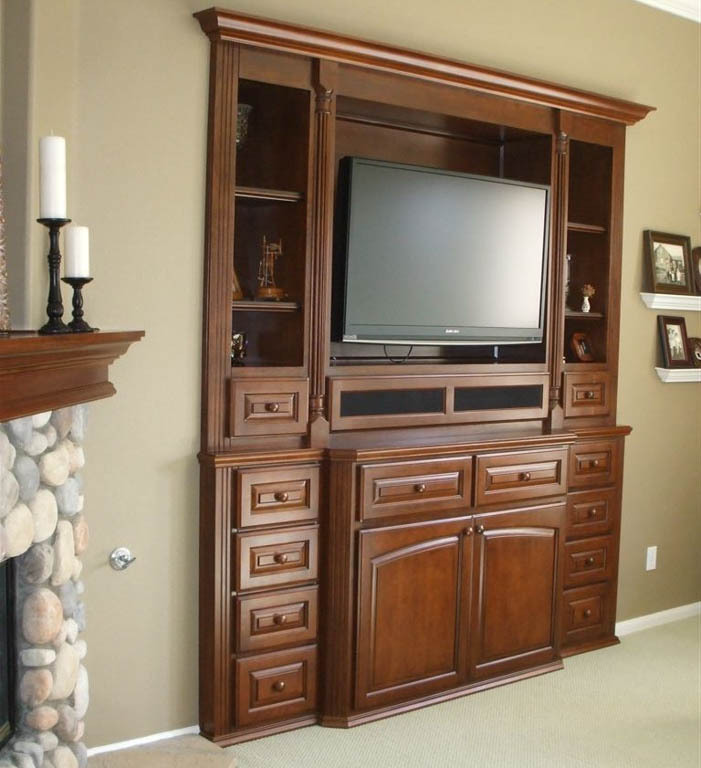 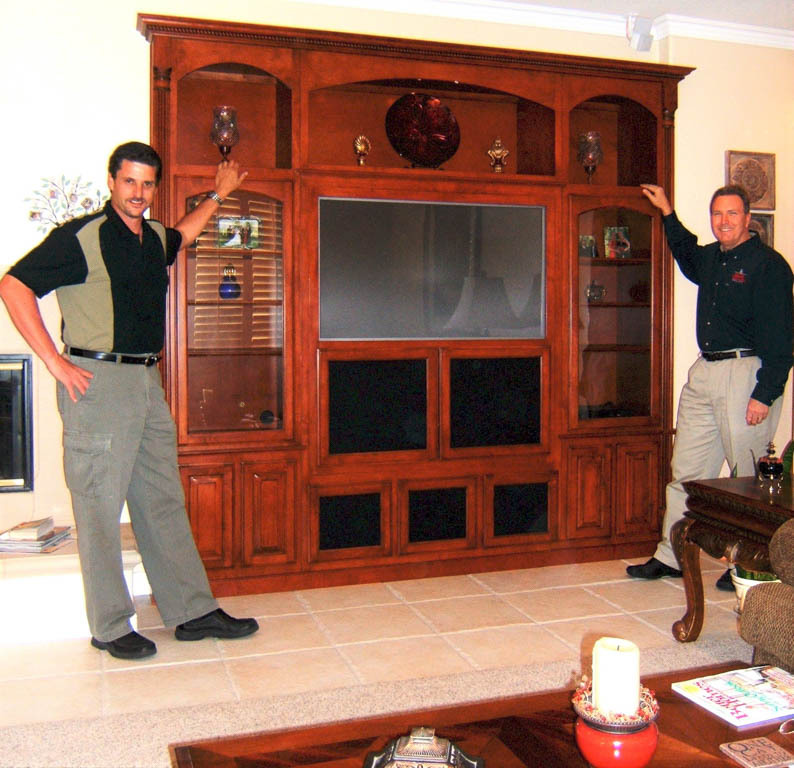 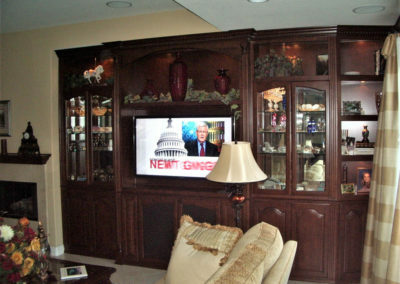 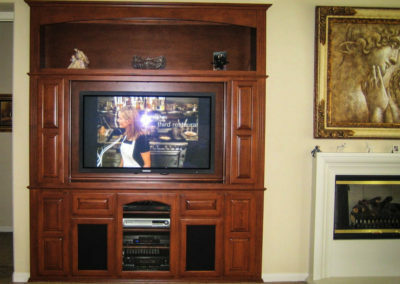 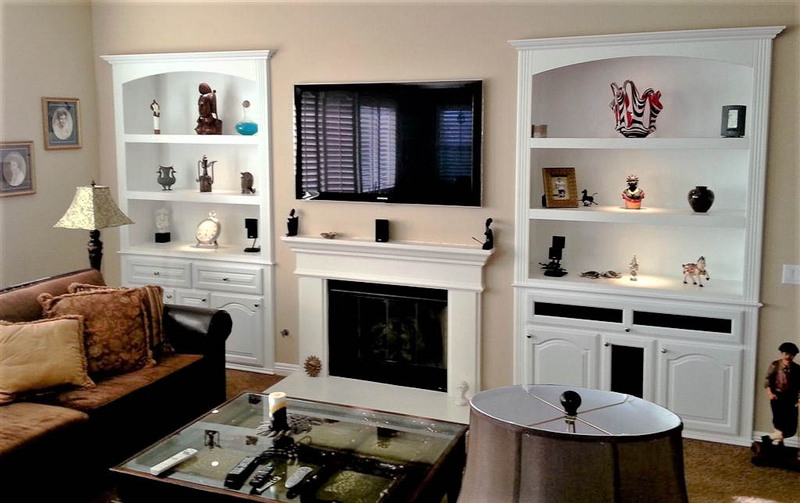 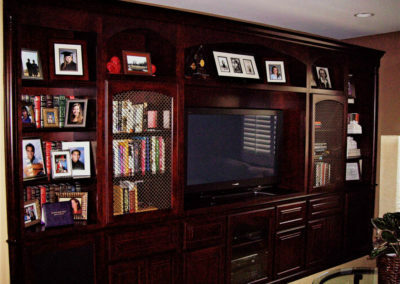 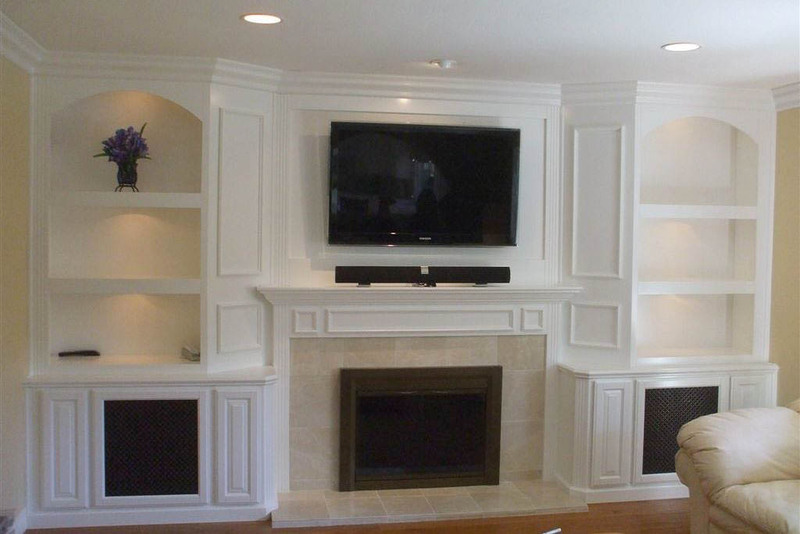 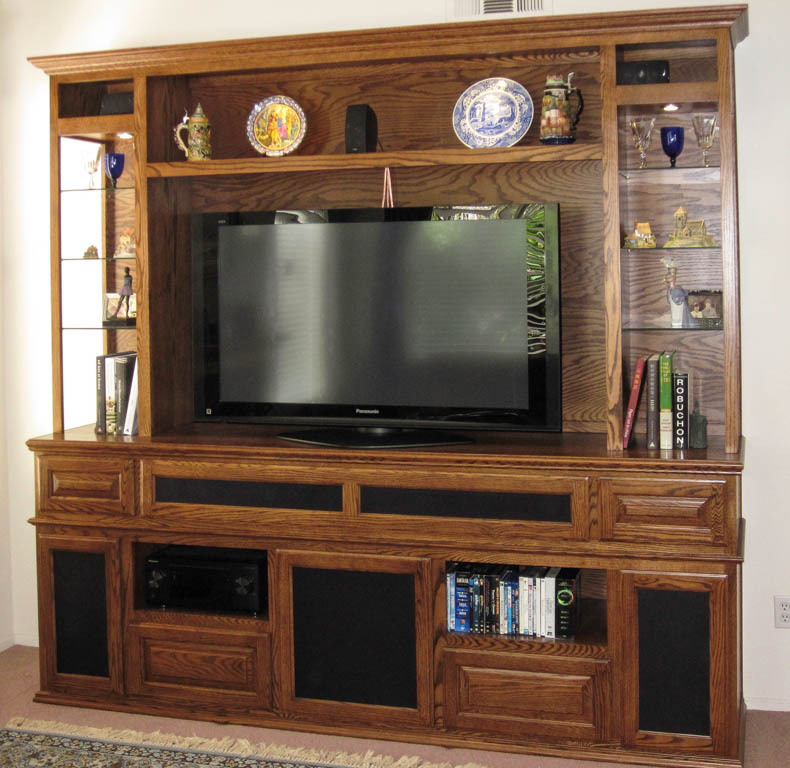 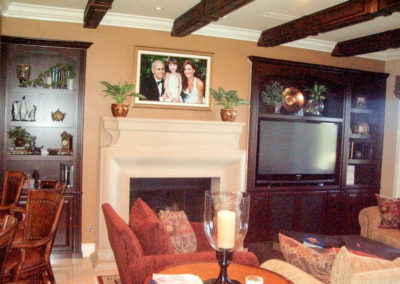 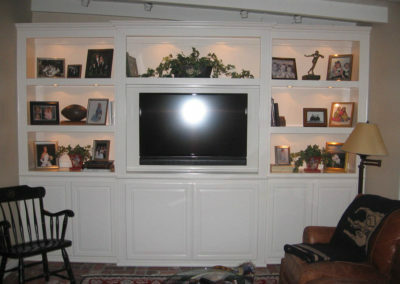 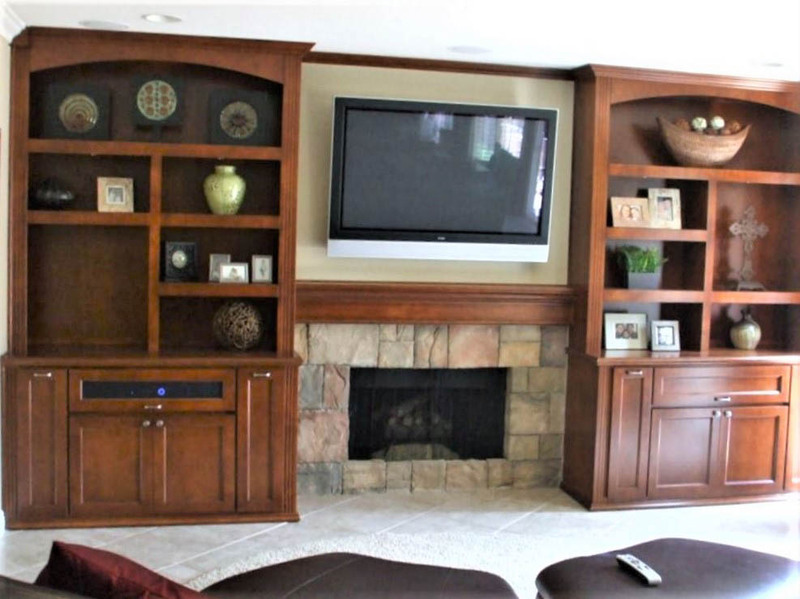 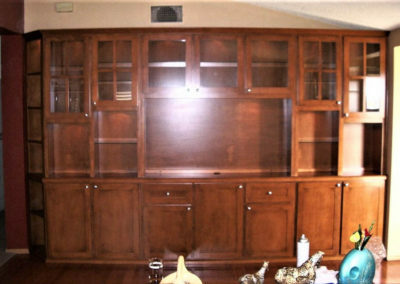 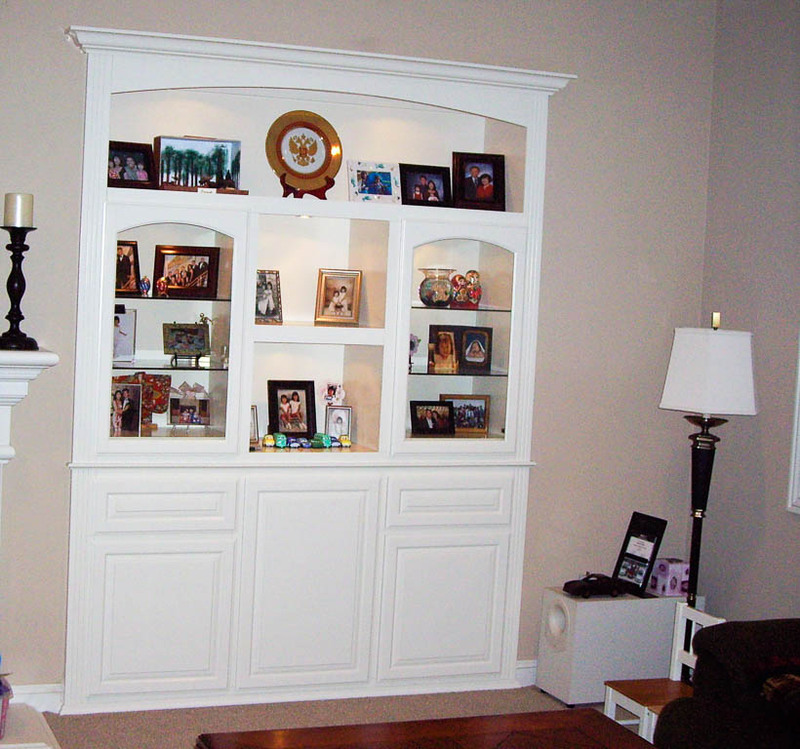 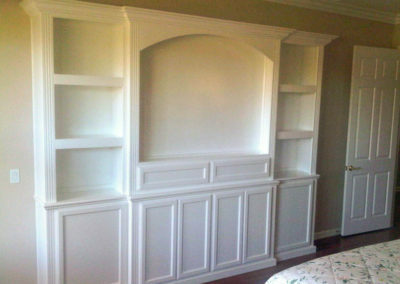 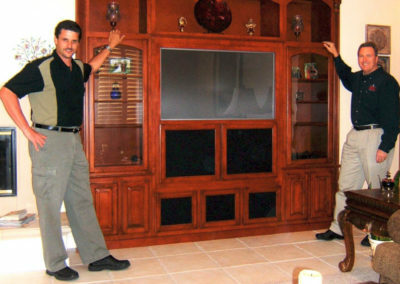 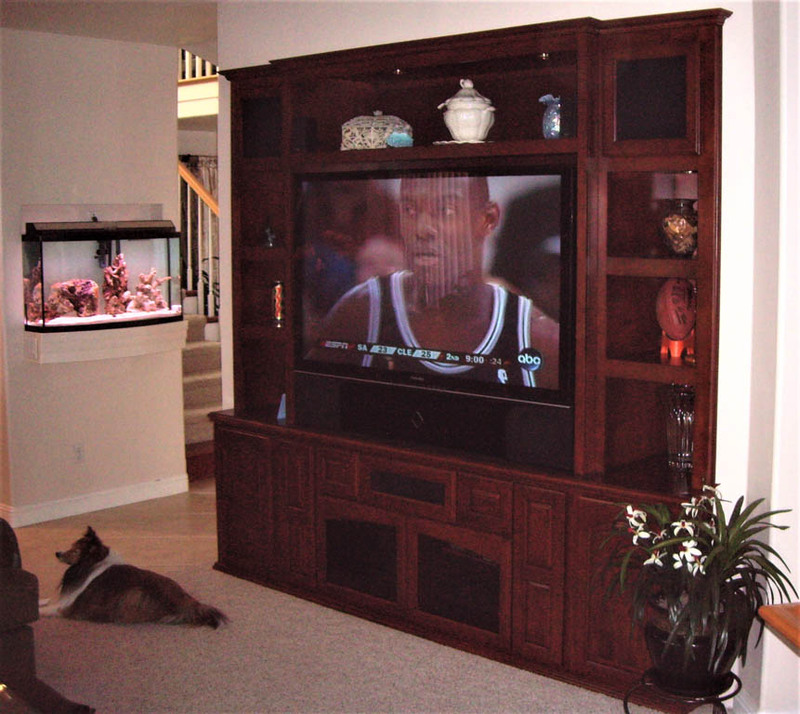 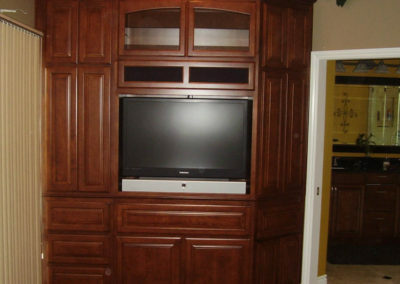 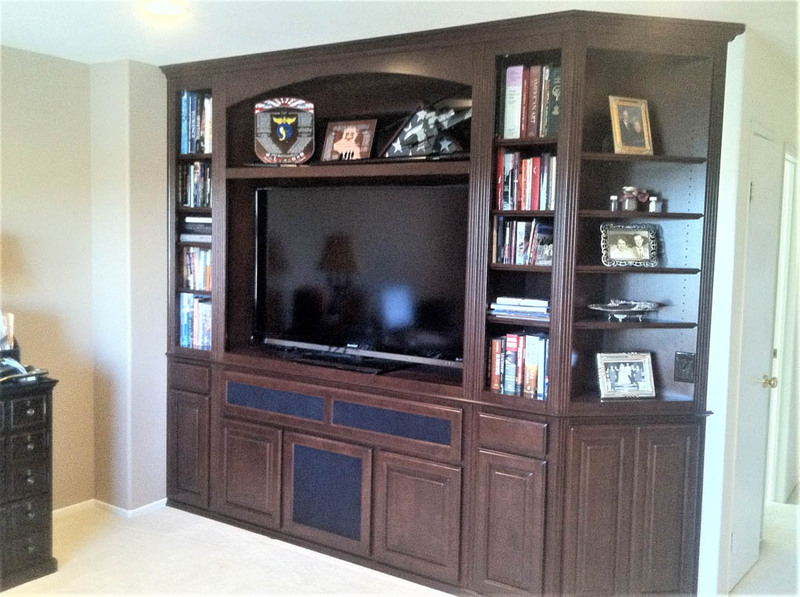 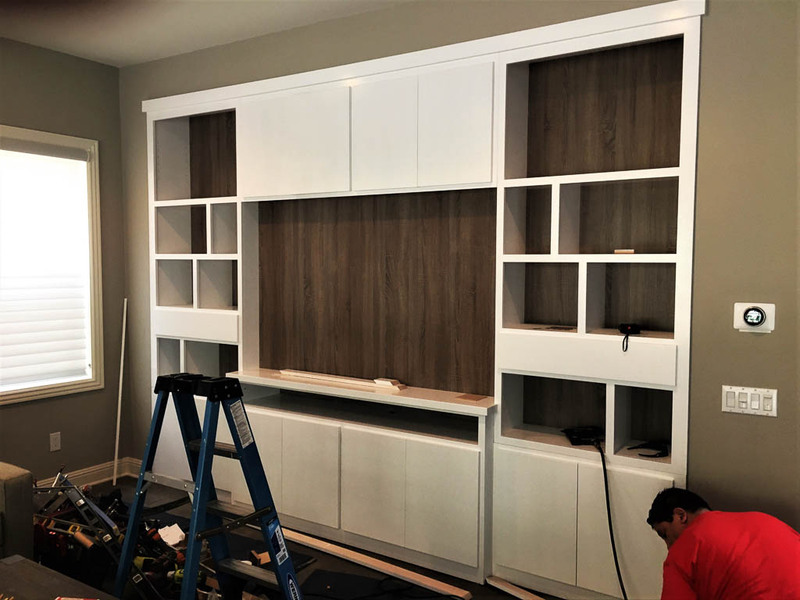 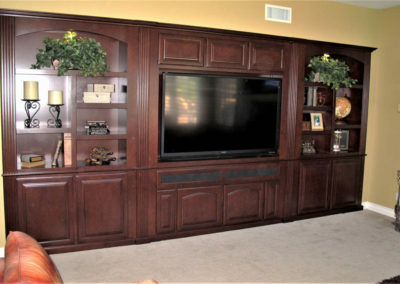 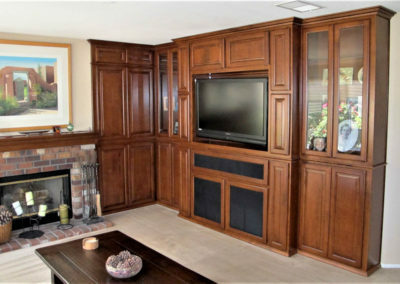 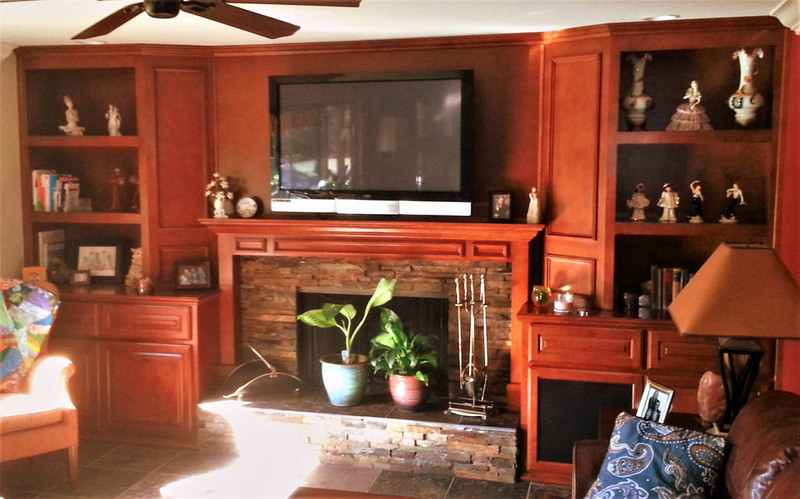 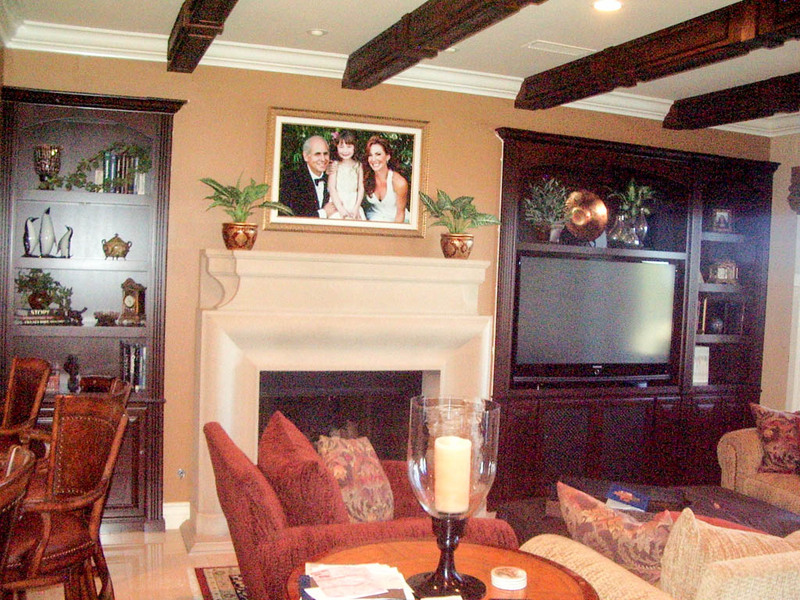 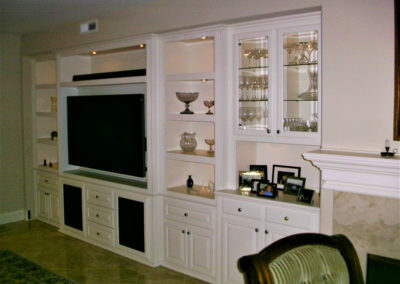 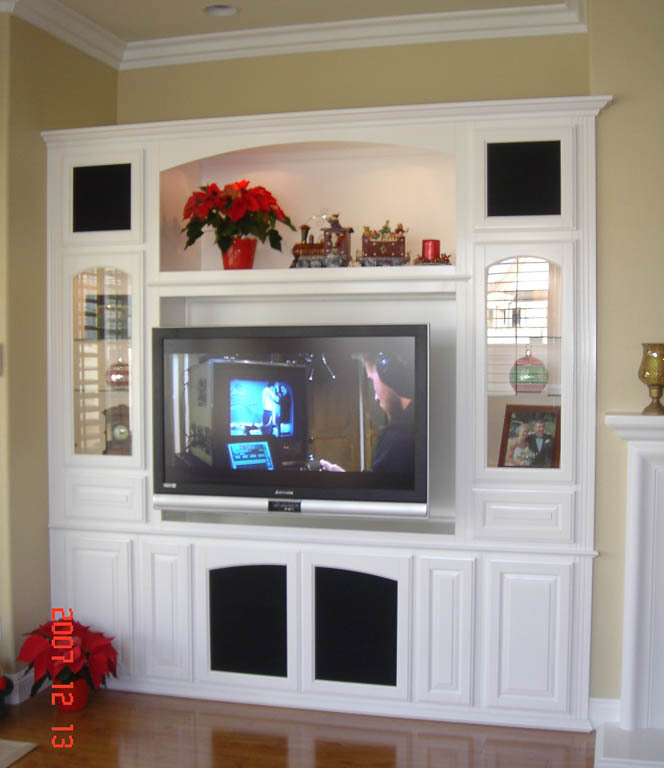 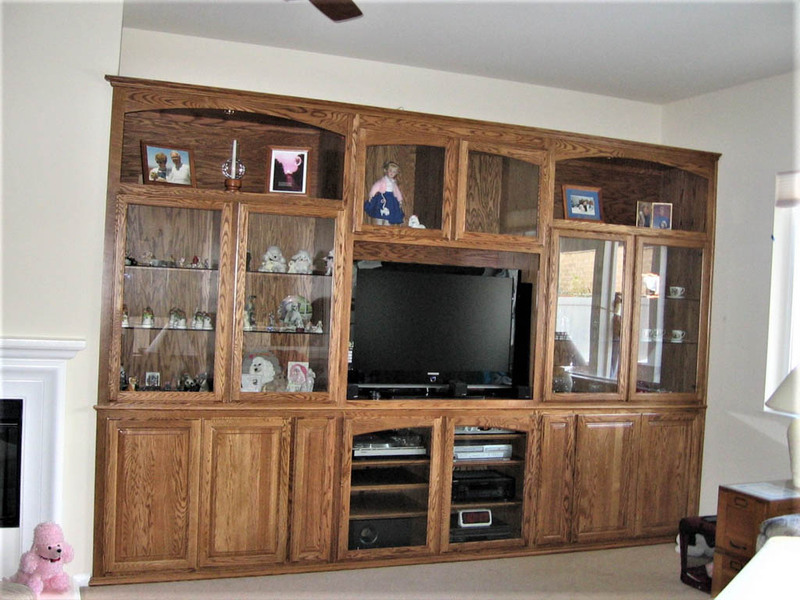 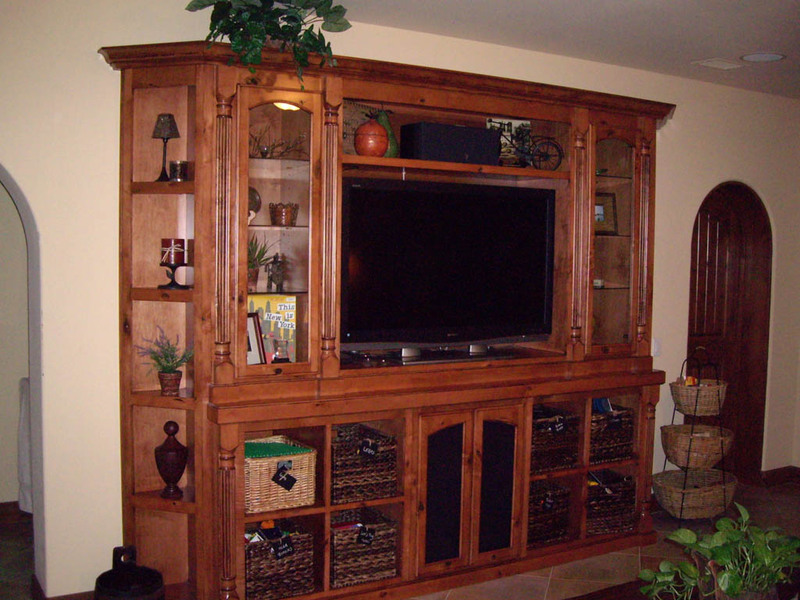 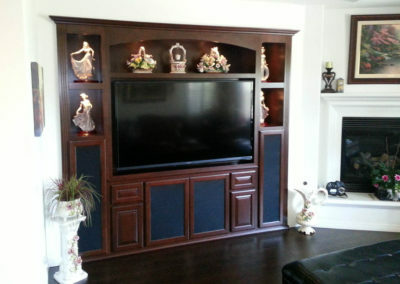 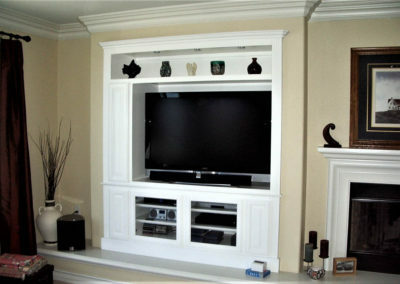 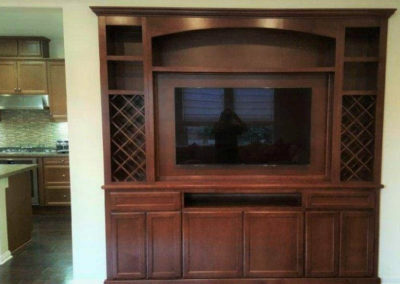 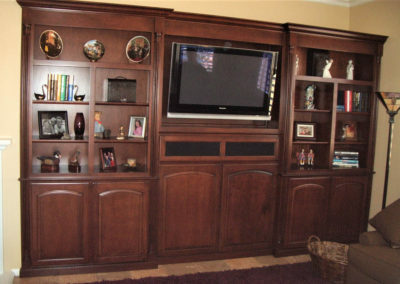 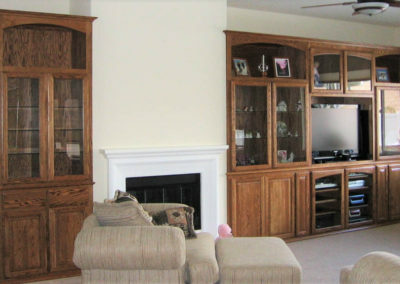 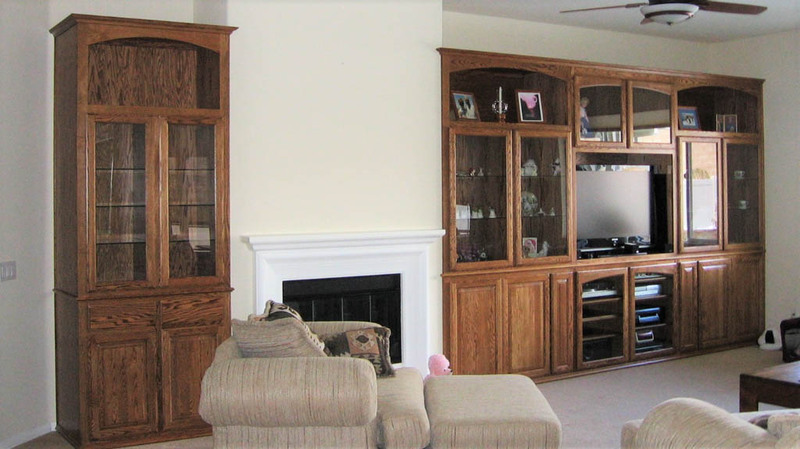 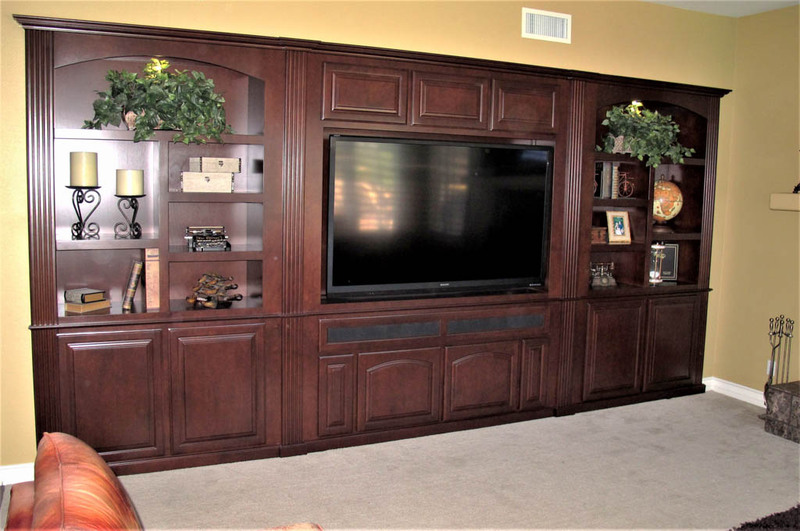 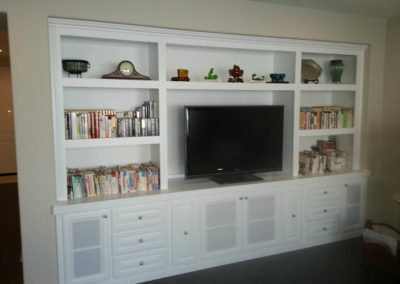 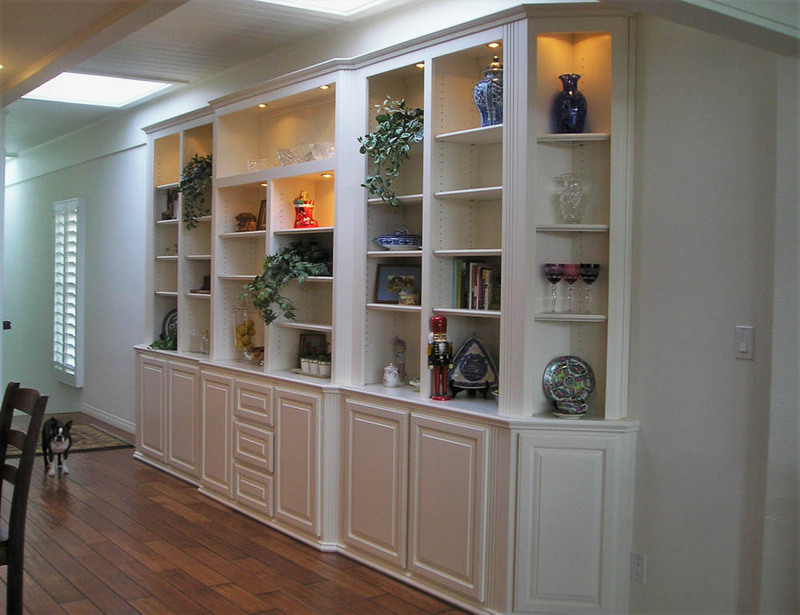 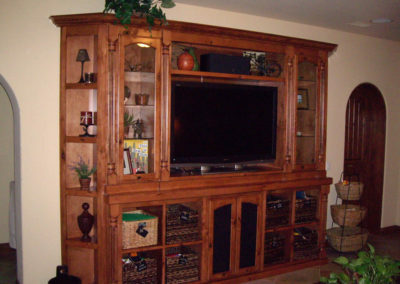 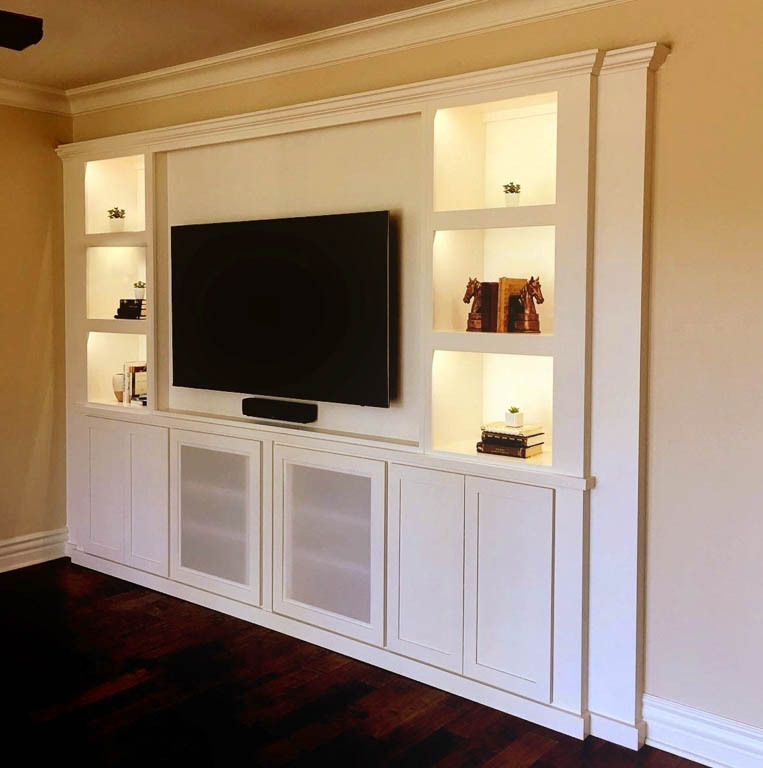 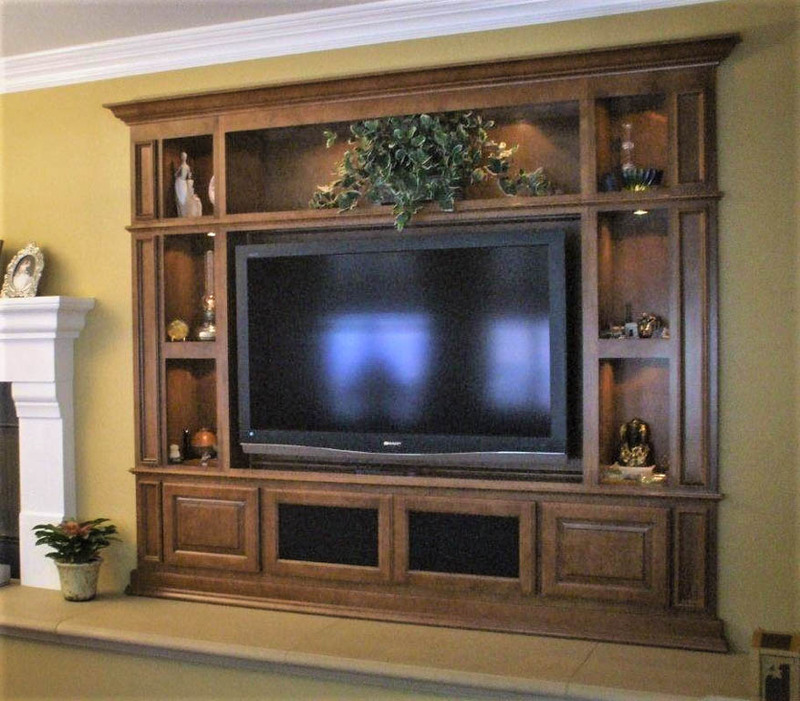 Of course, we build more than custom wall units and entertainment center cabinets for your living room. 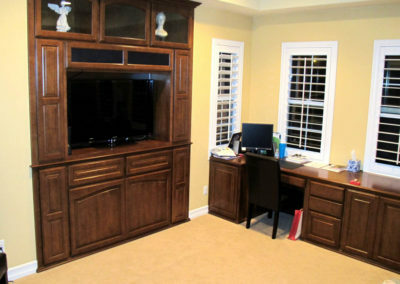 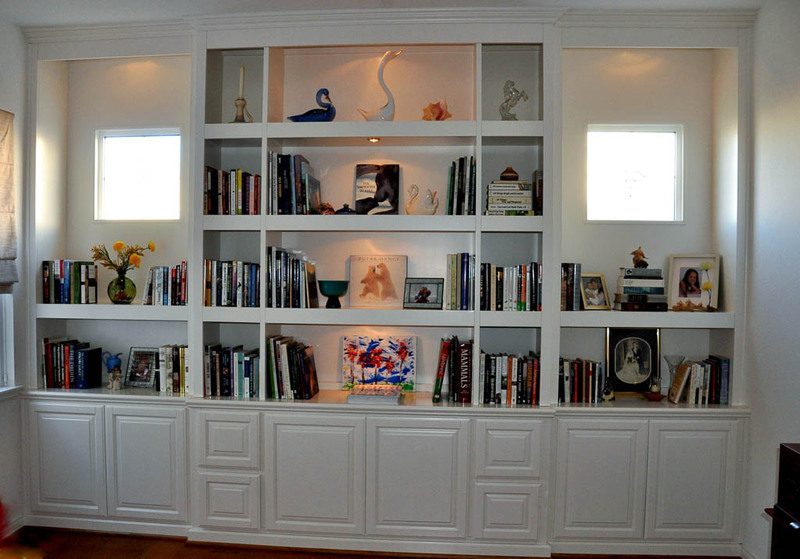 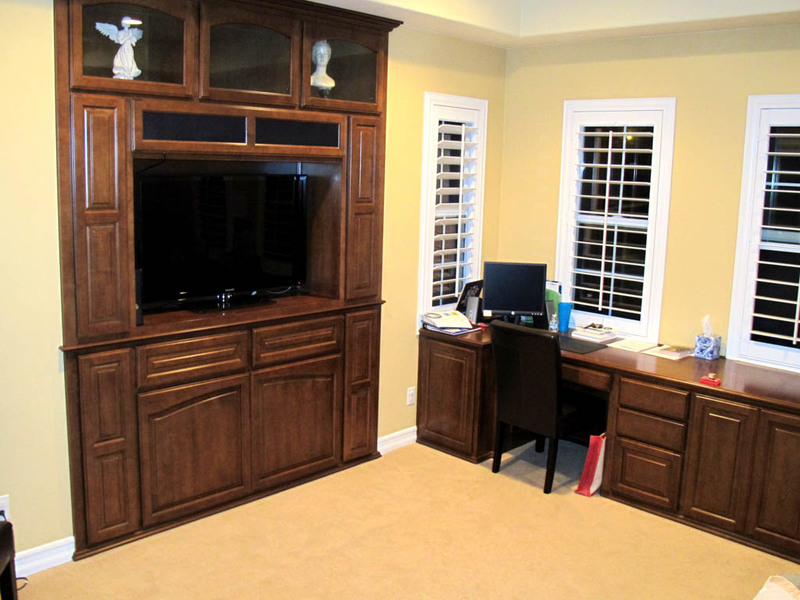 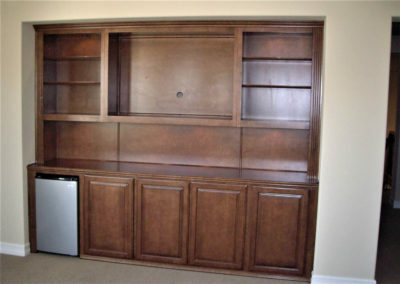 We offer many options that increase your storage capacity including bookshelves and wall unit / desk combos. 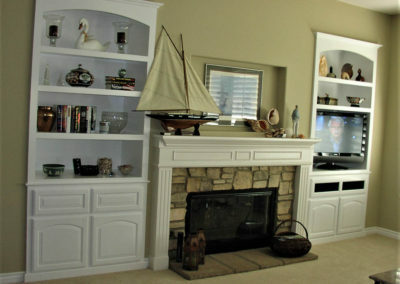 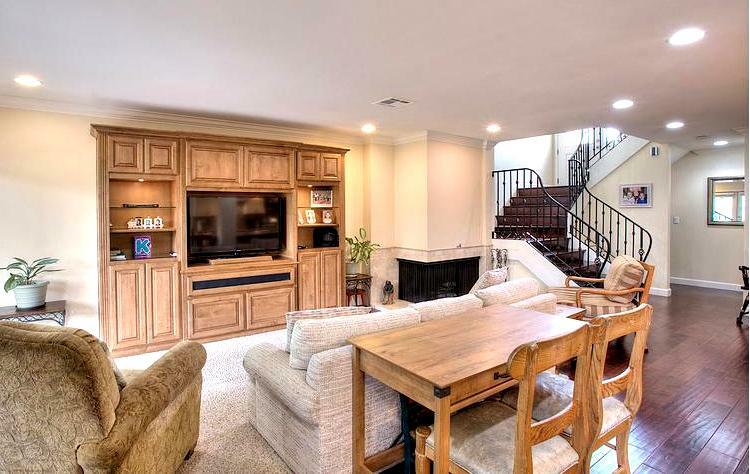 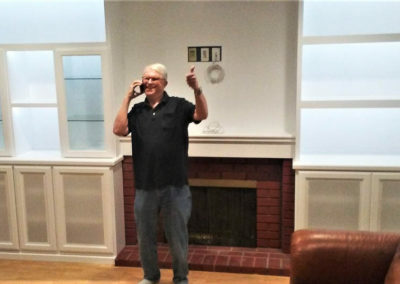 White built in cabinets around fireplace.